Click below to view/download the event program. 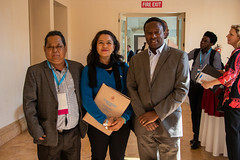 Click below to view/download list of committee members. 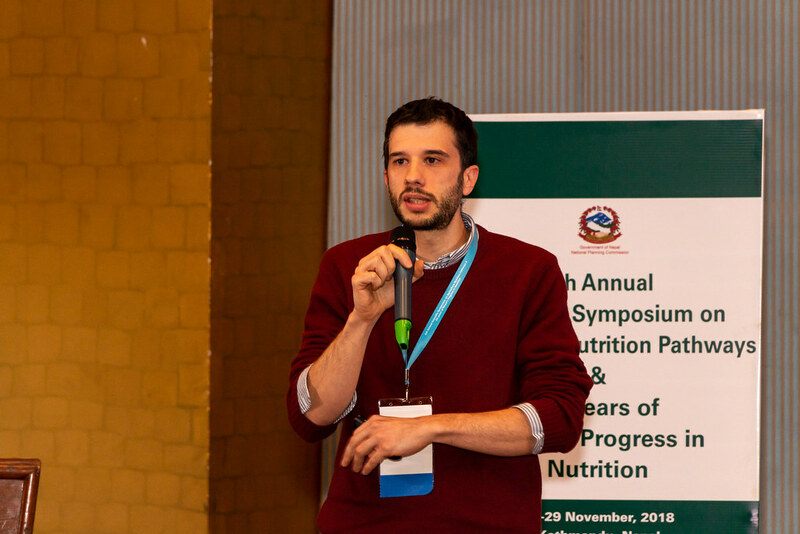 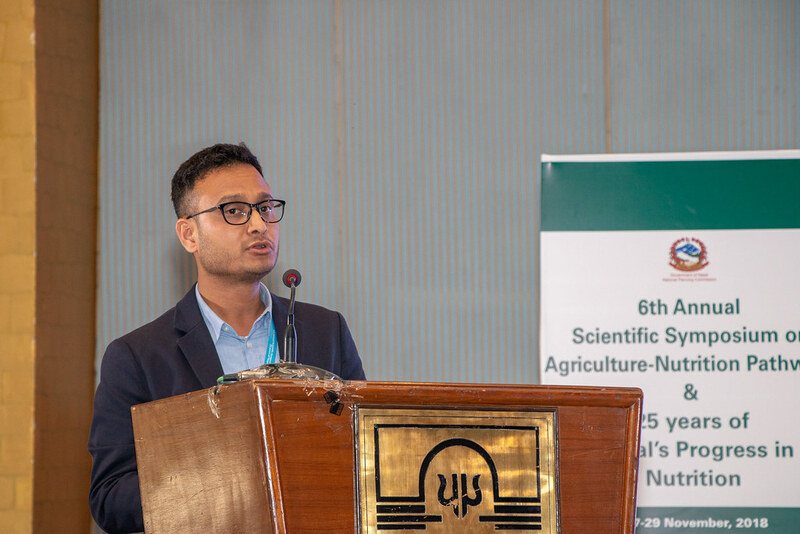 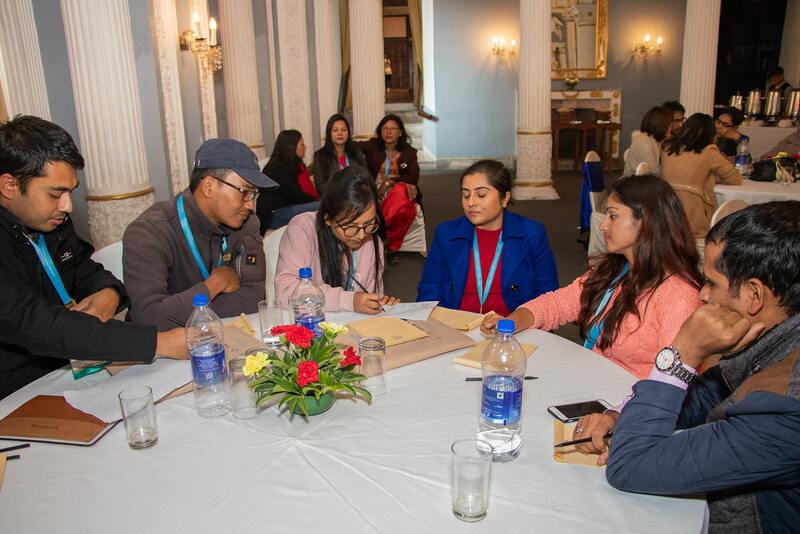 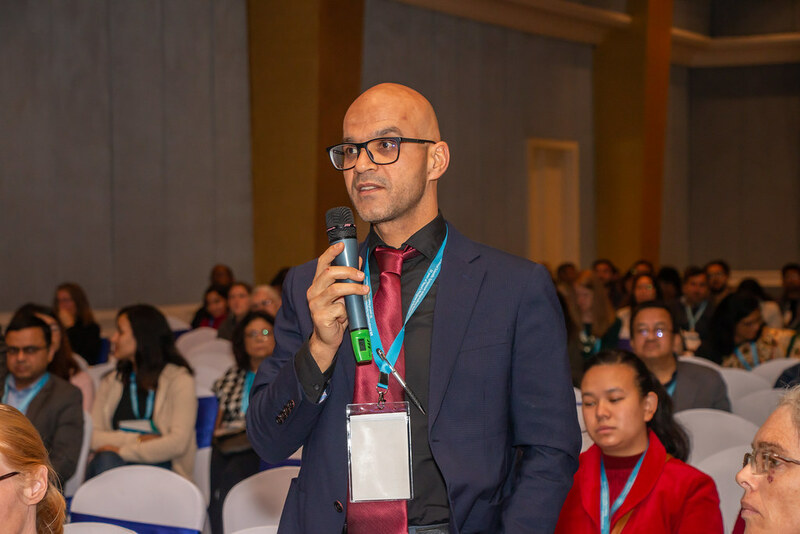 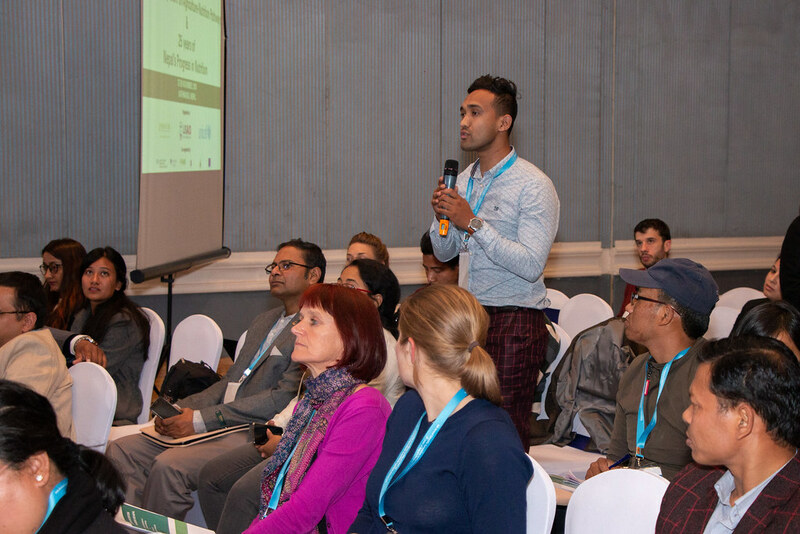 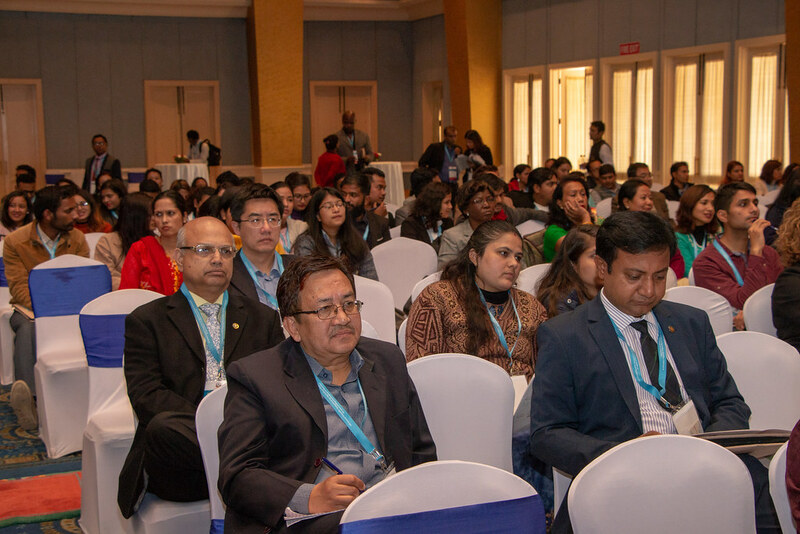 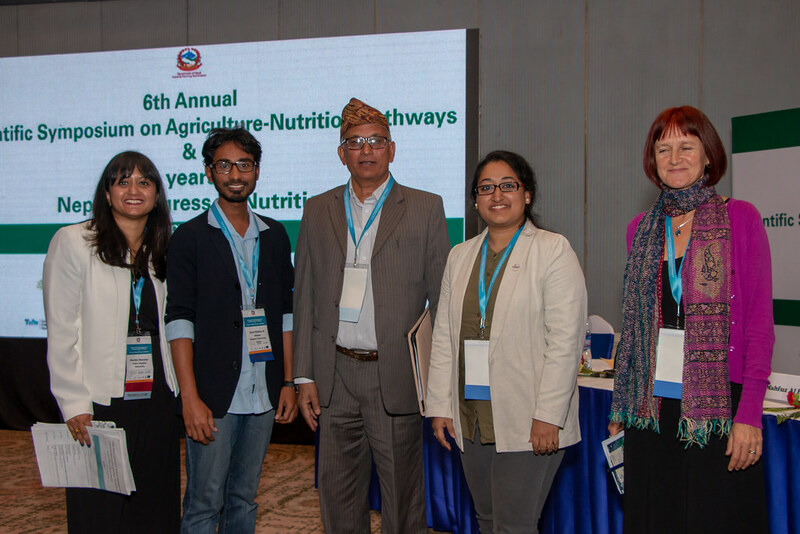 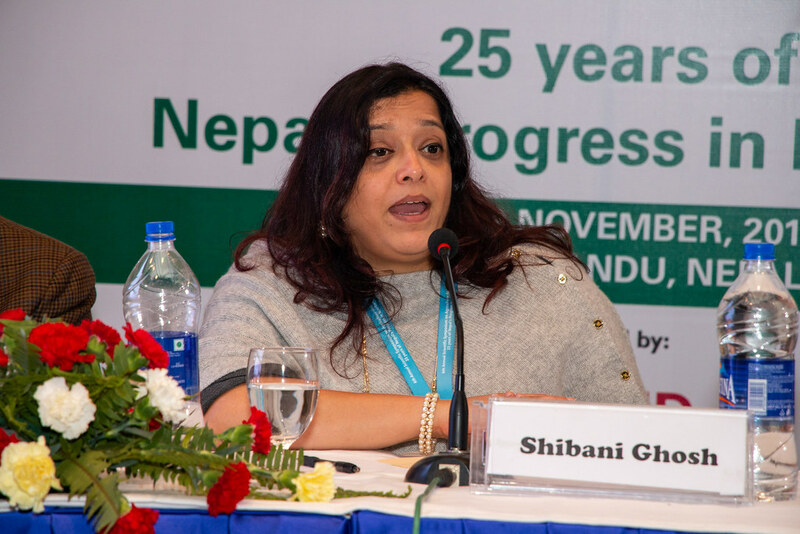 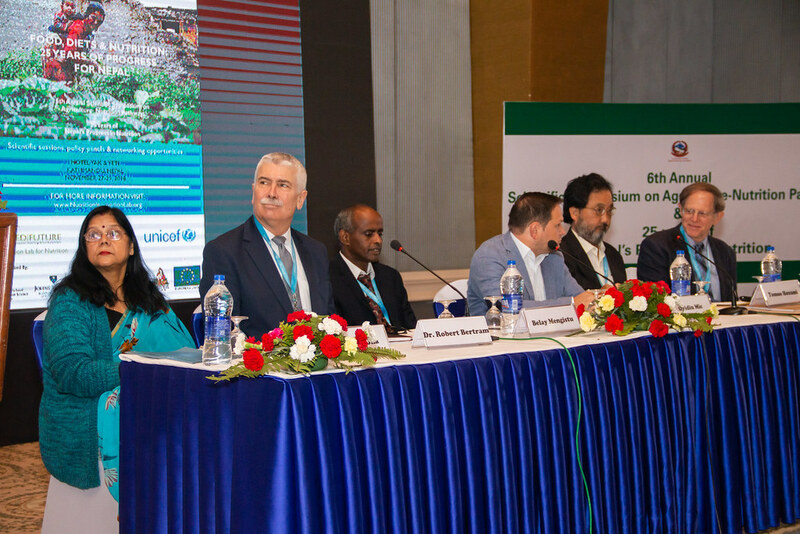 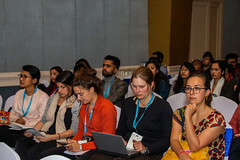 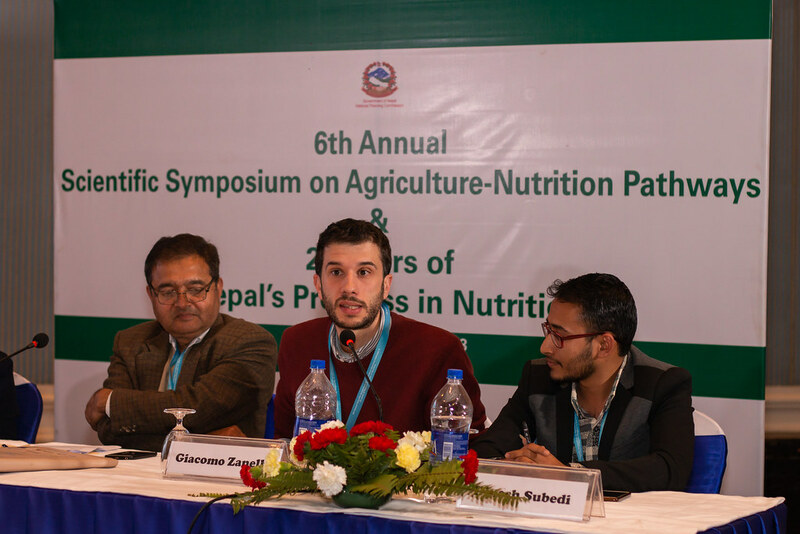 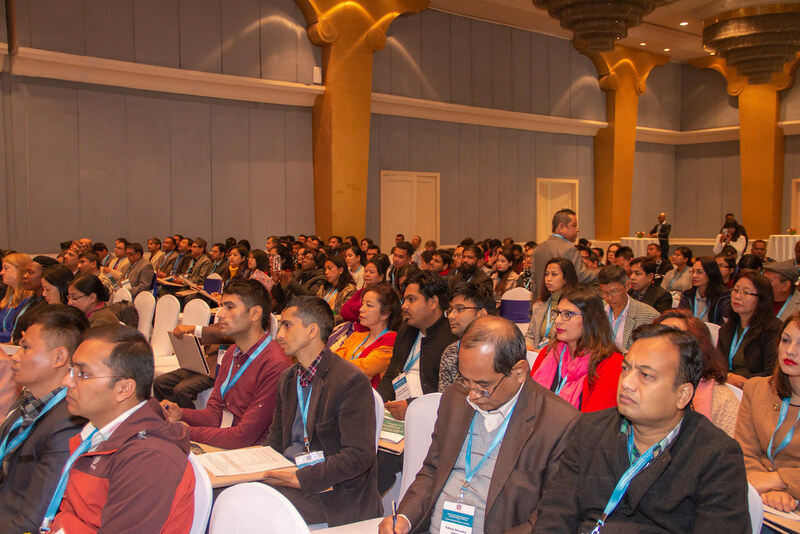 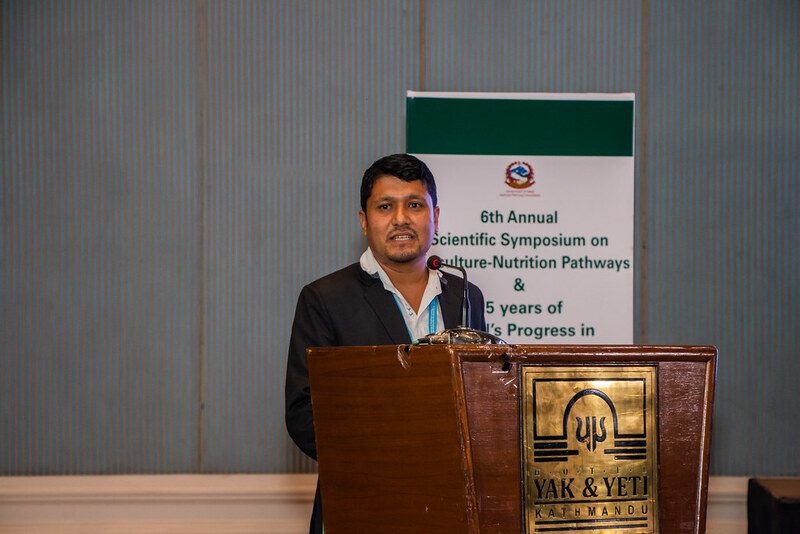 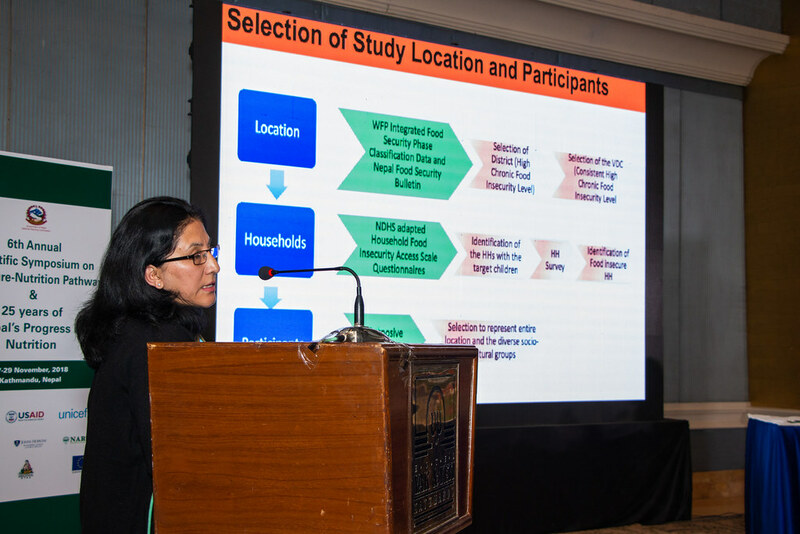 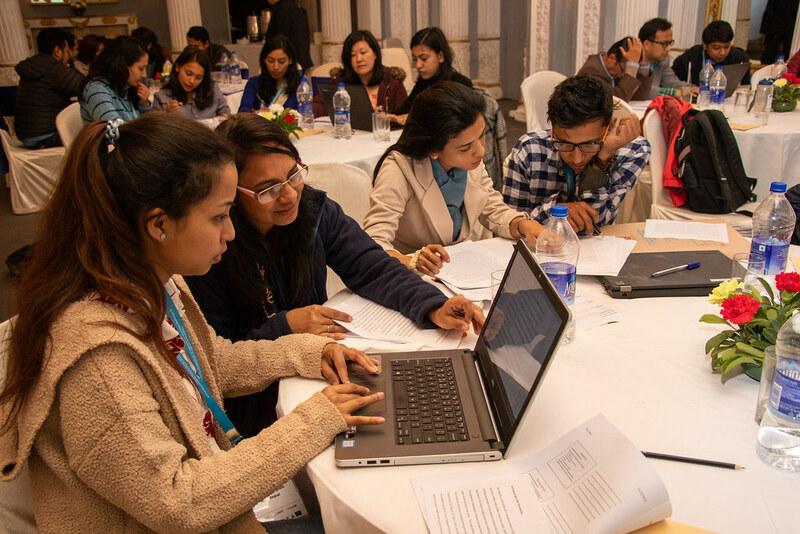 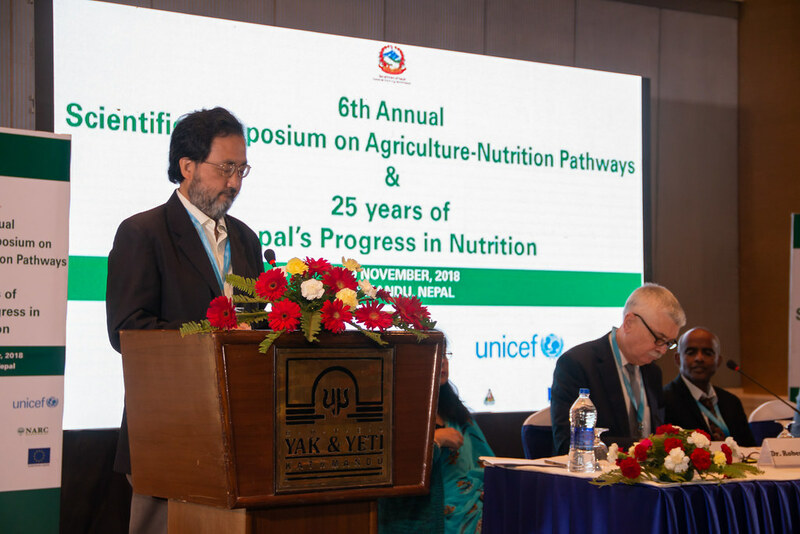 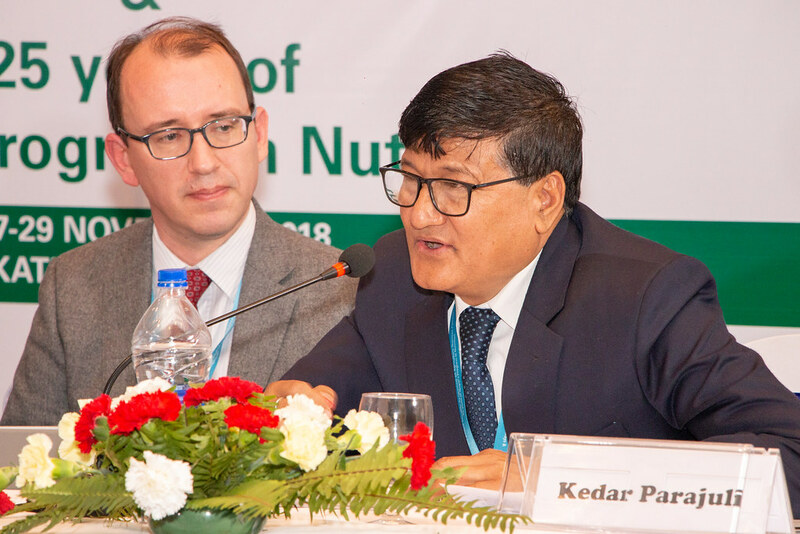 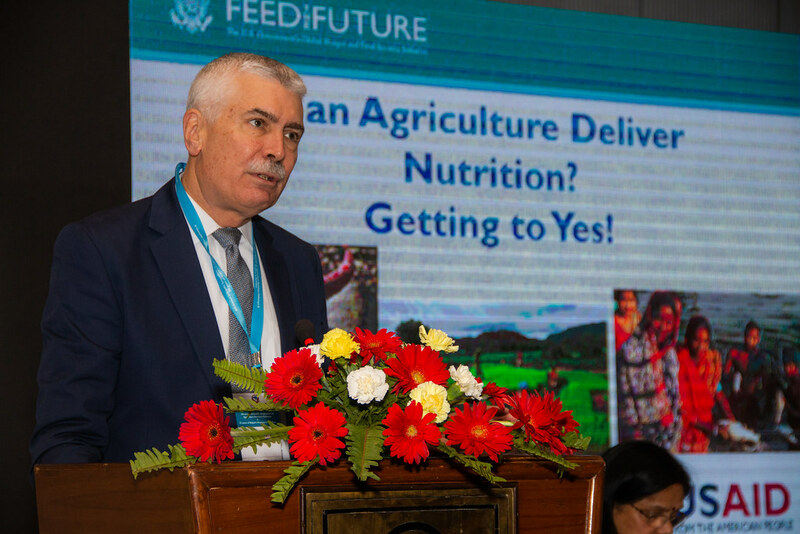 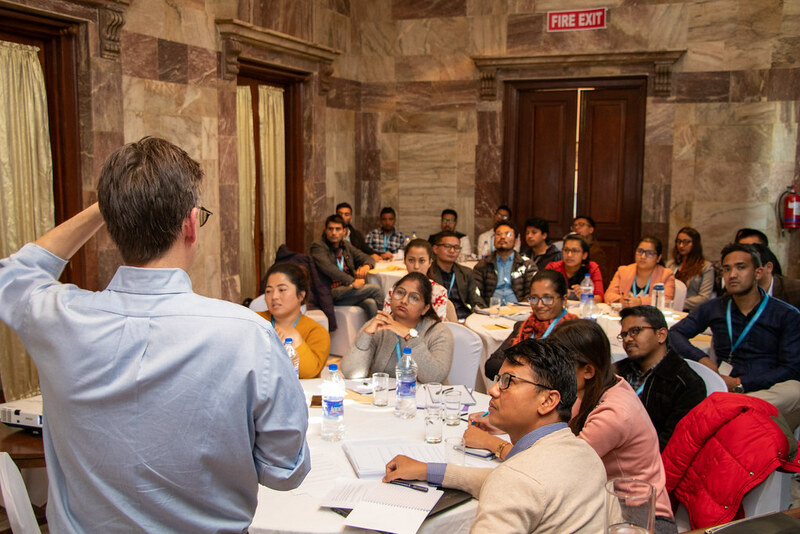 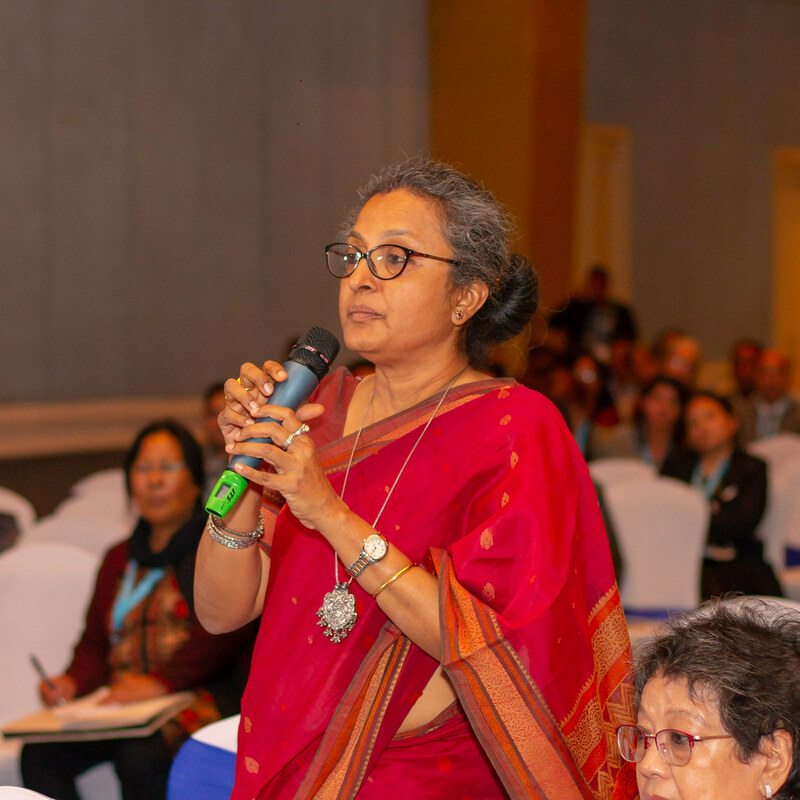 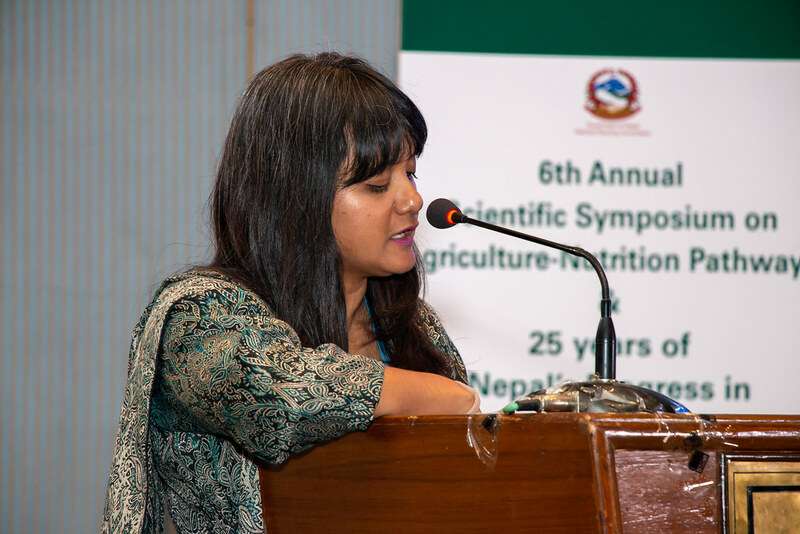 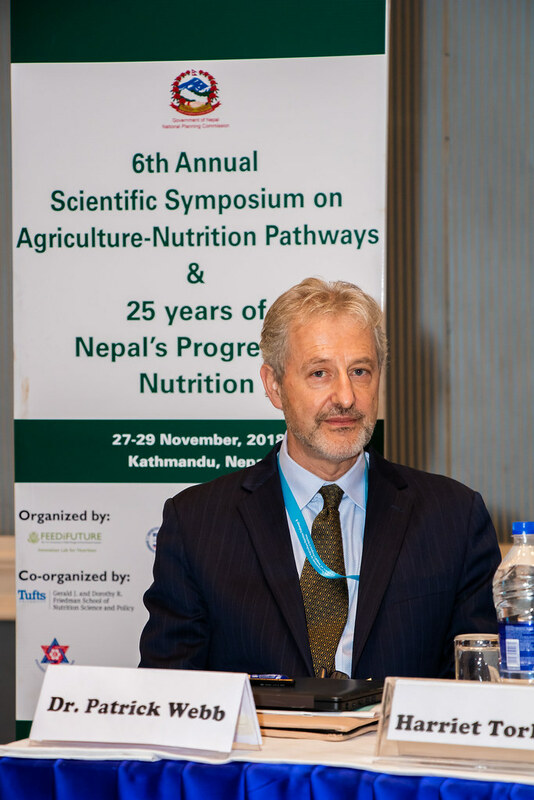 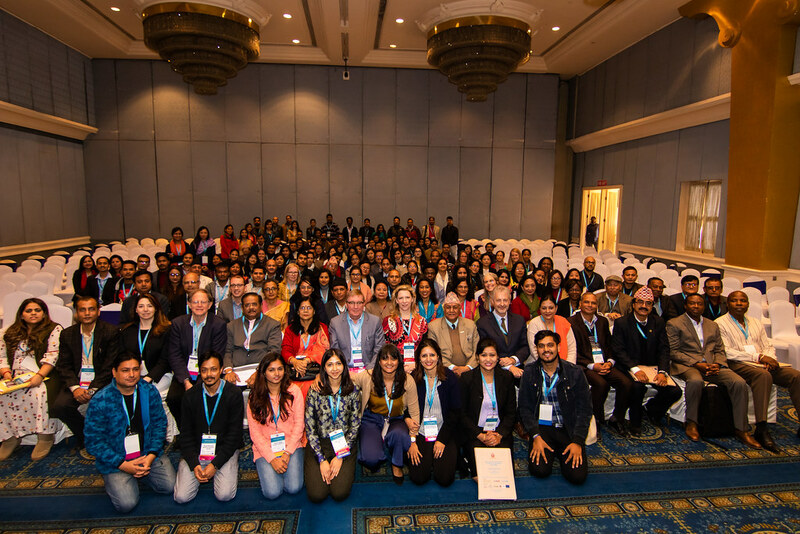 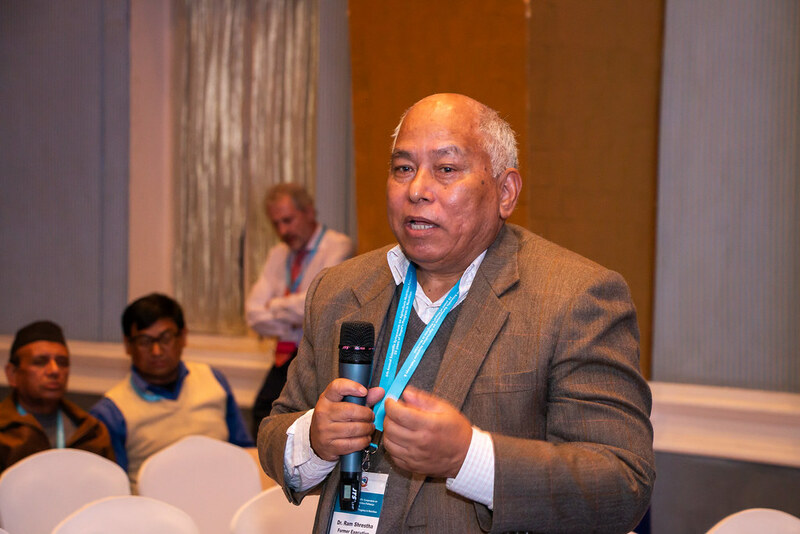 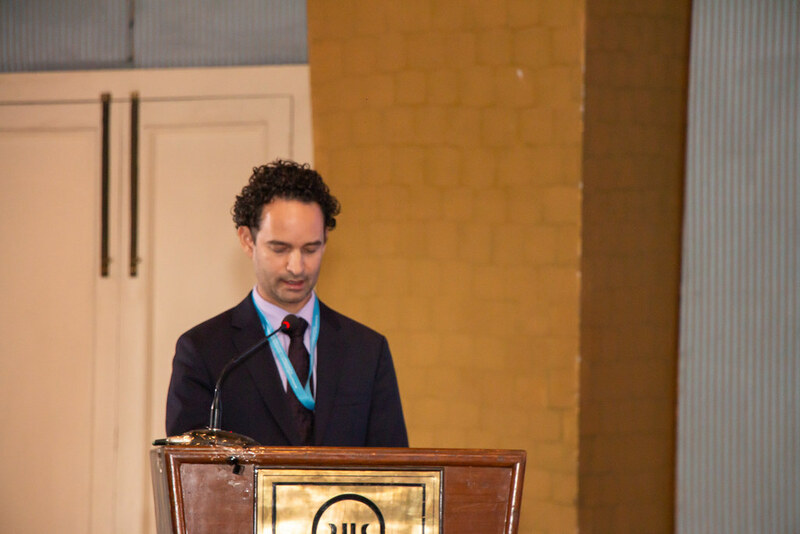 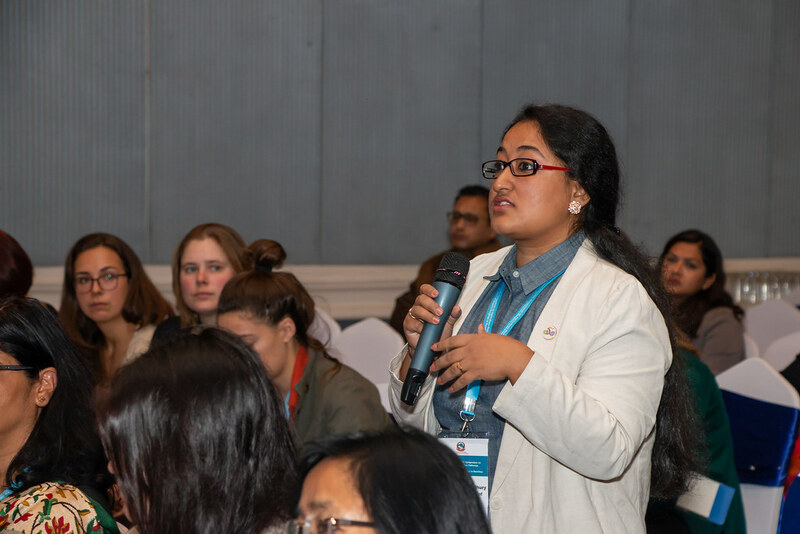 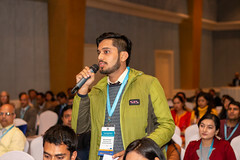 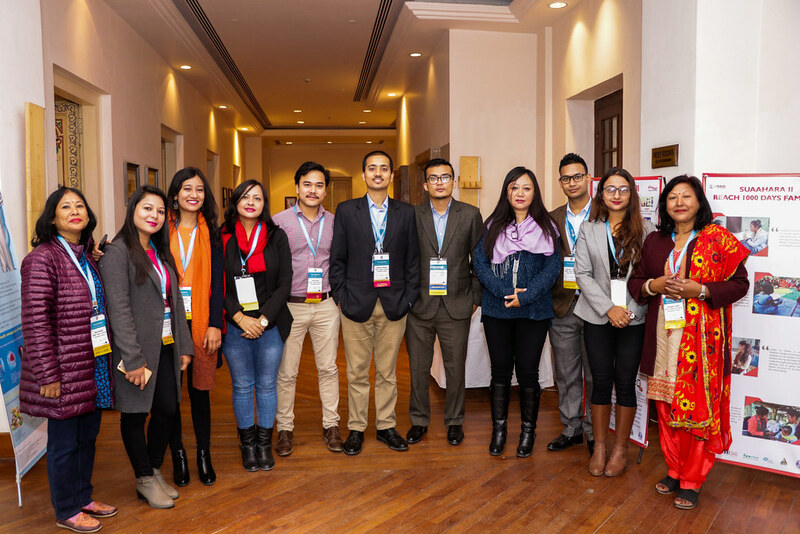 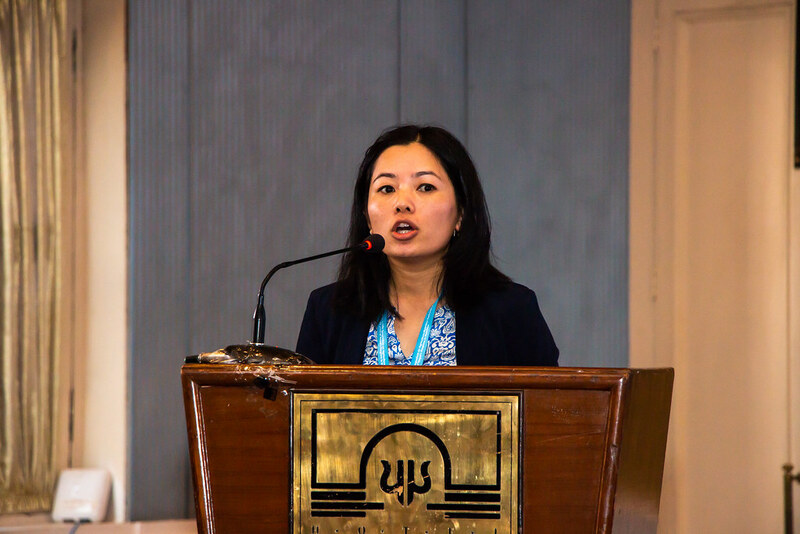 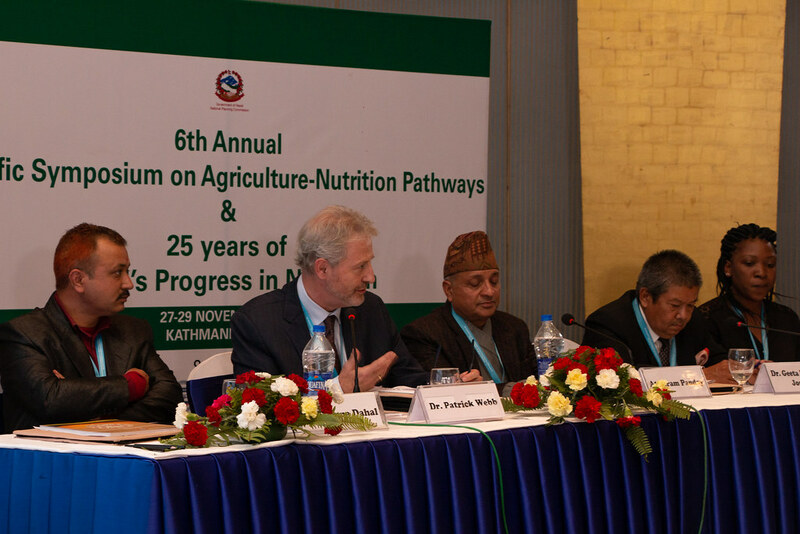 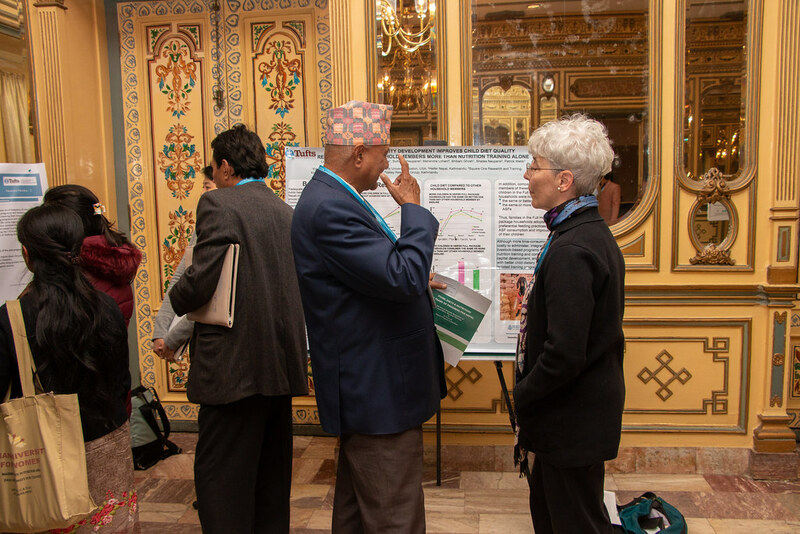 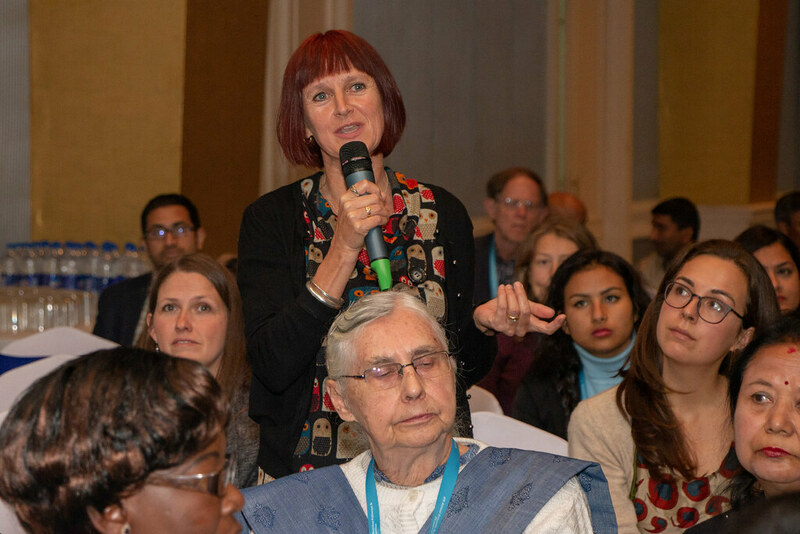 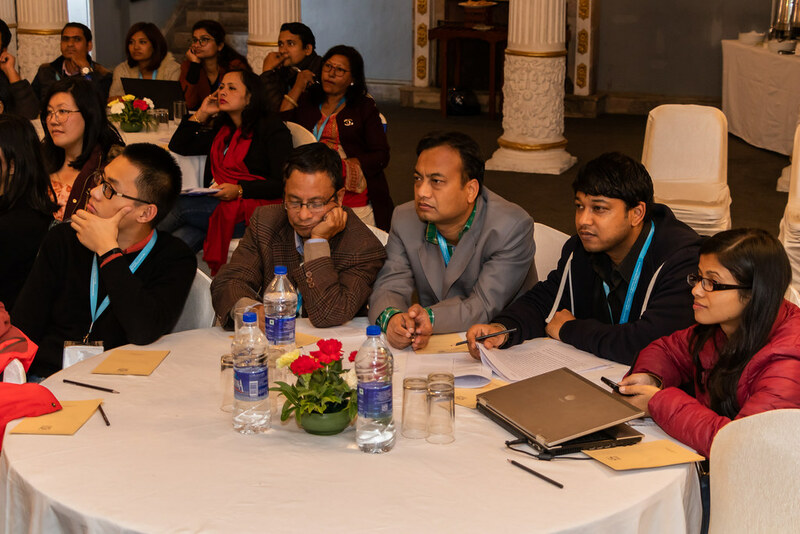 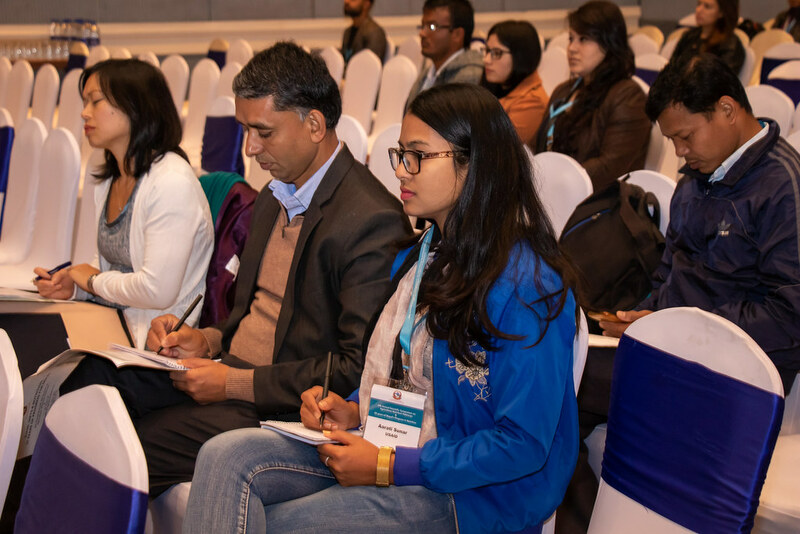 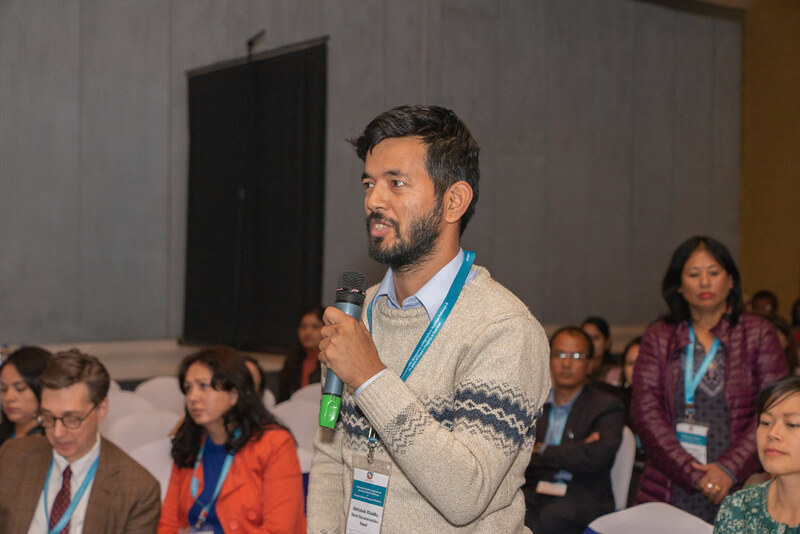 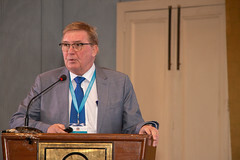 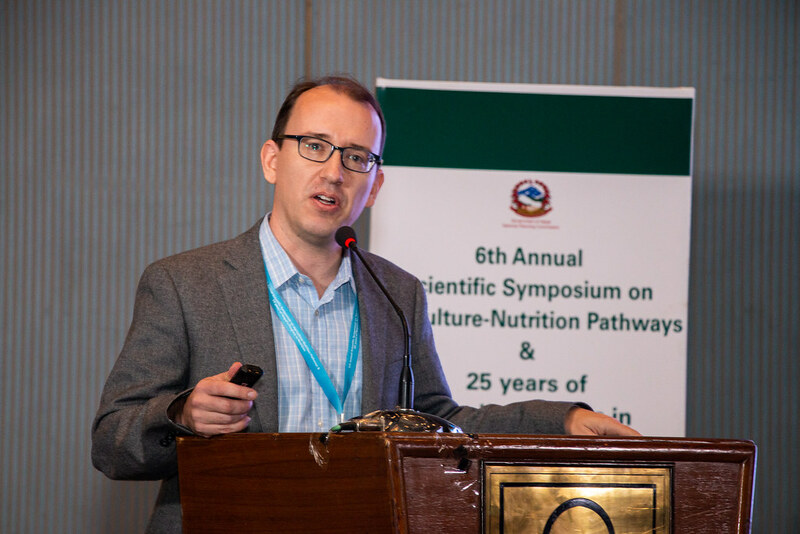 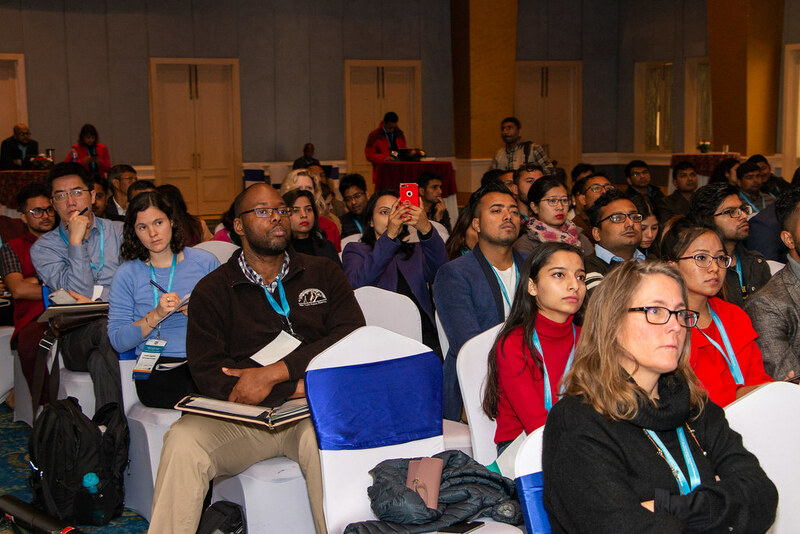 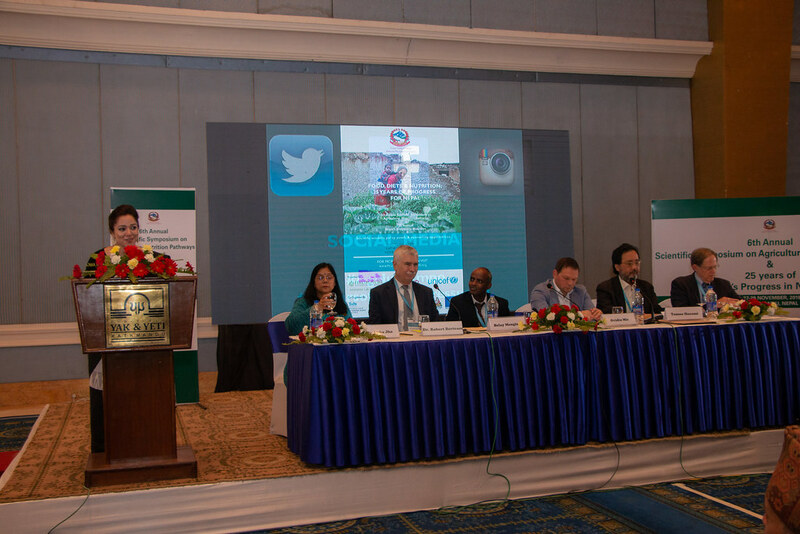 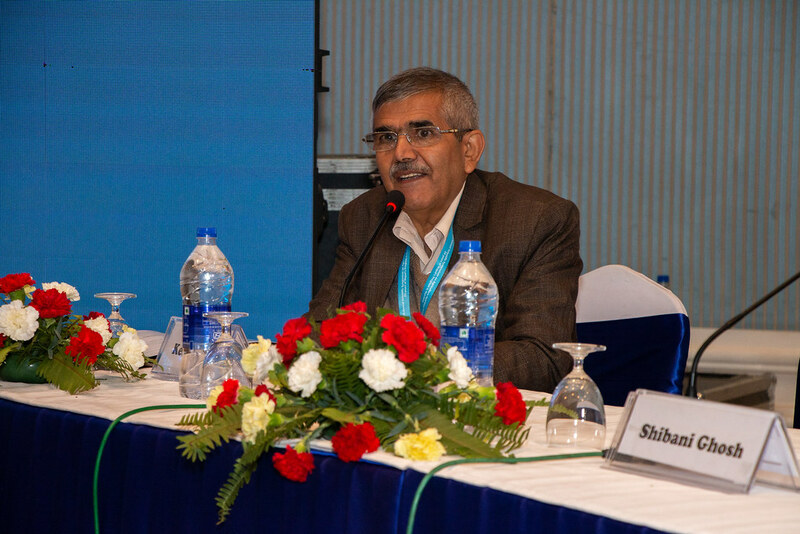 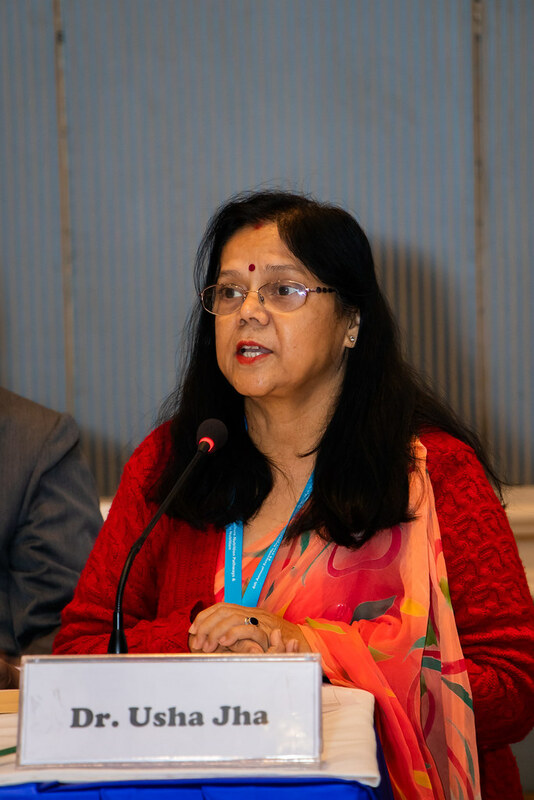 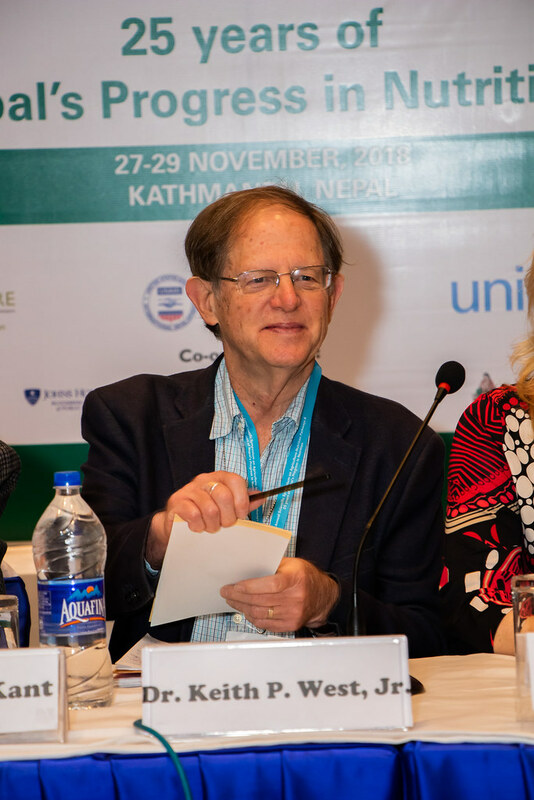 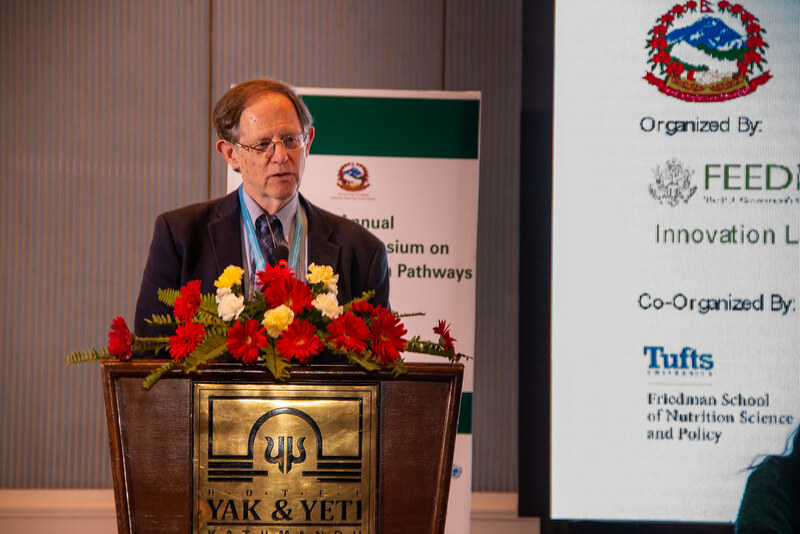 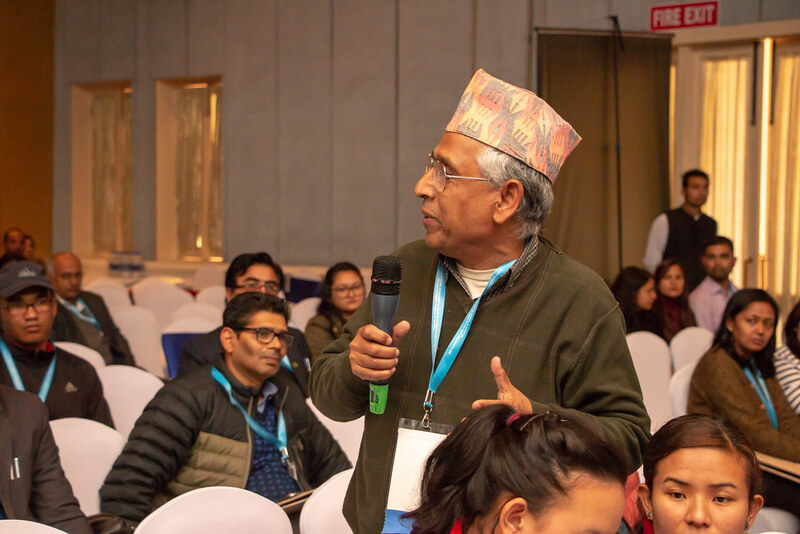 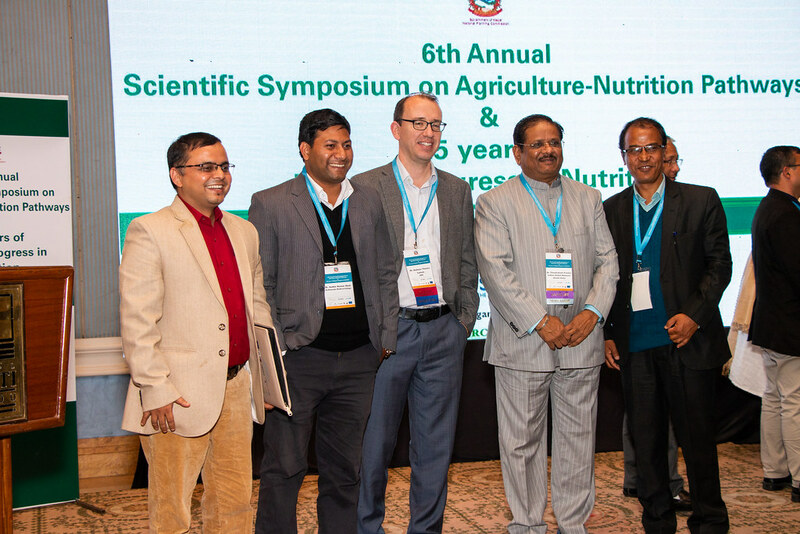 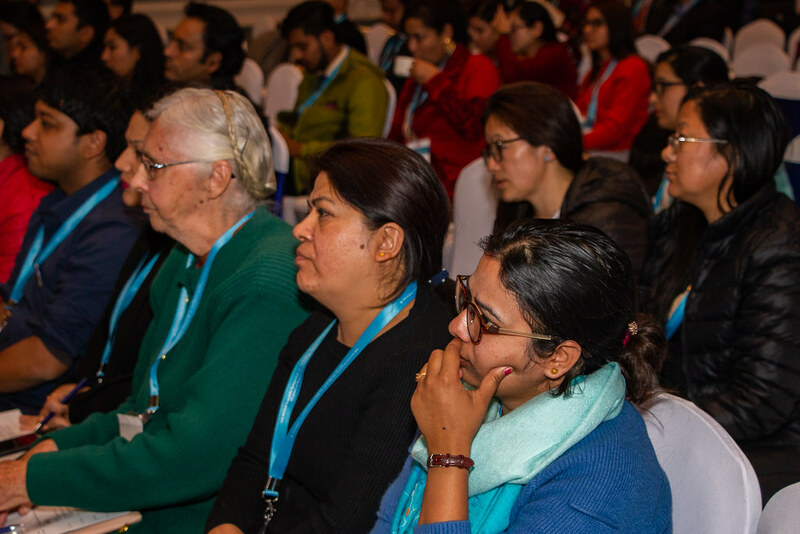 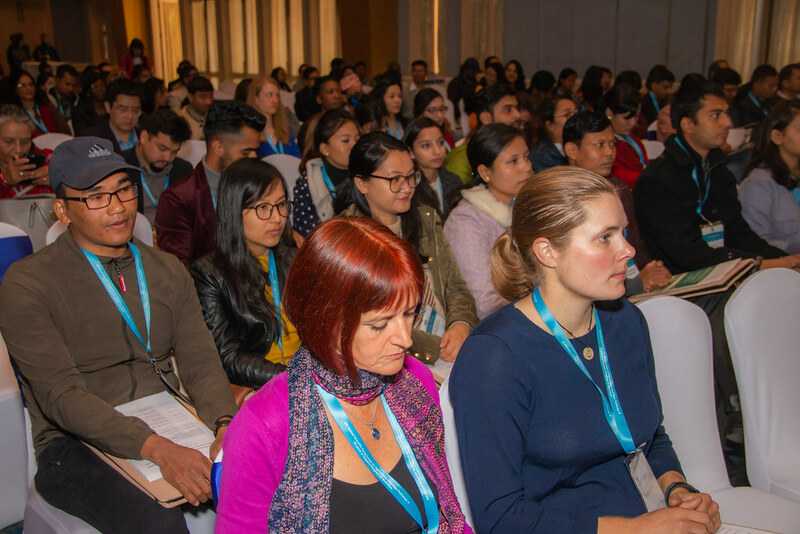 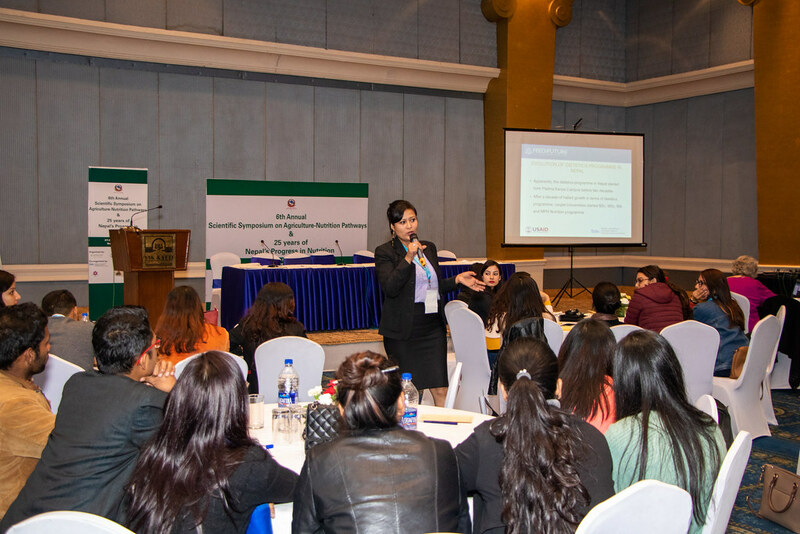 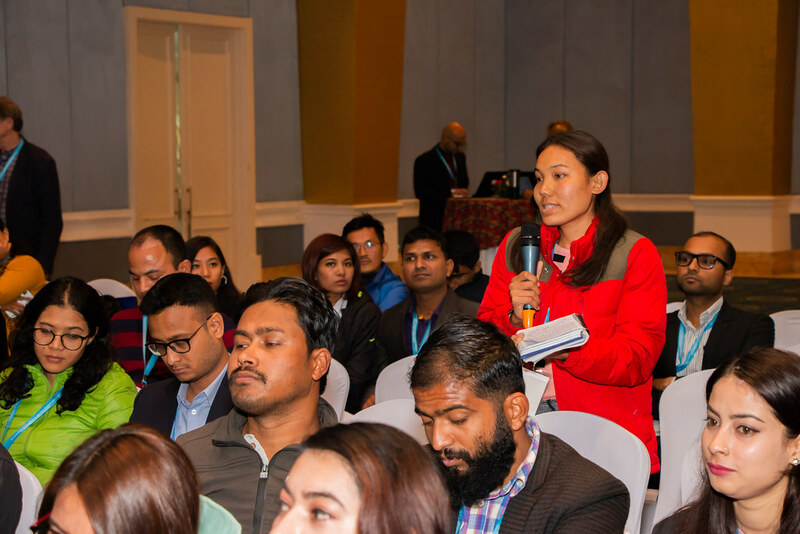 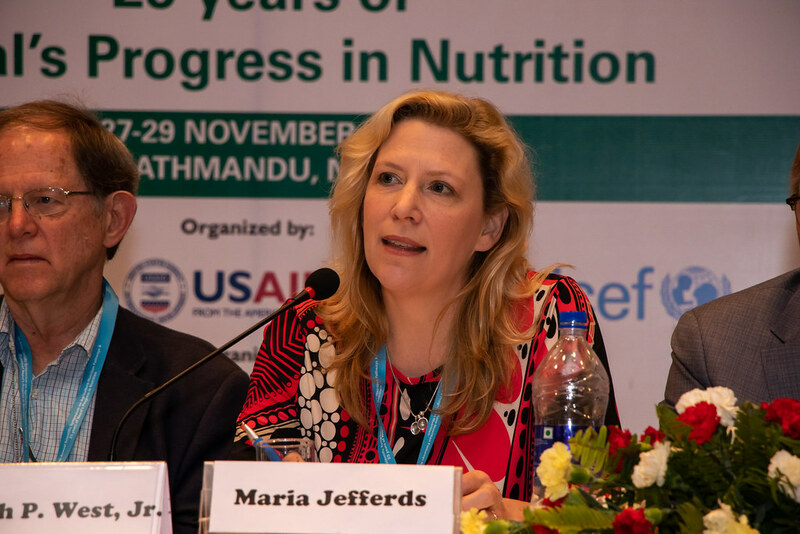 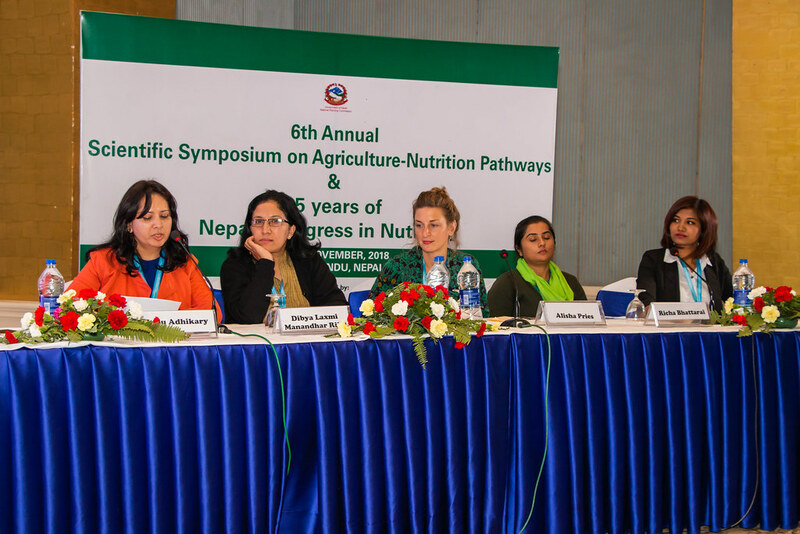 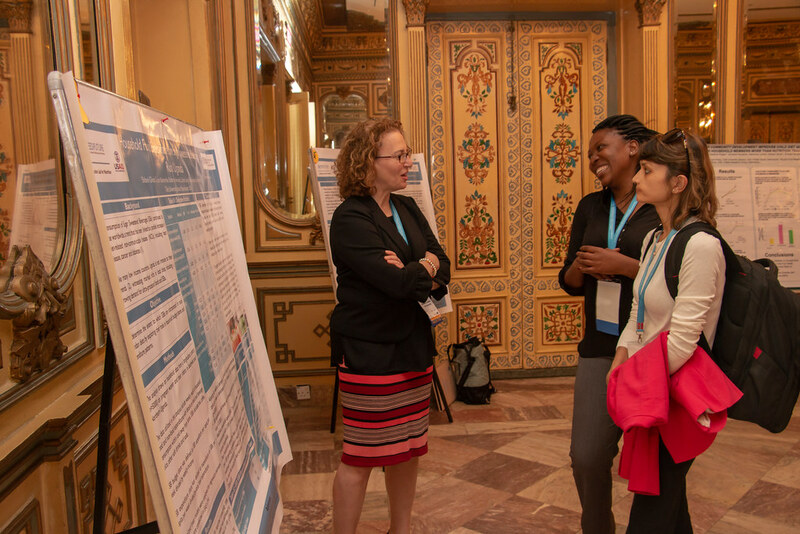 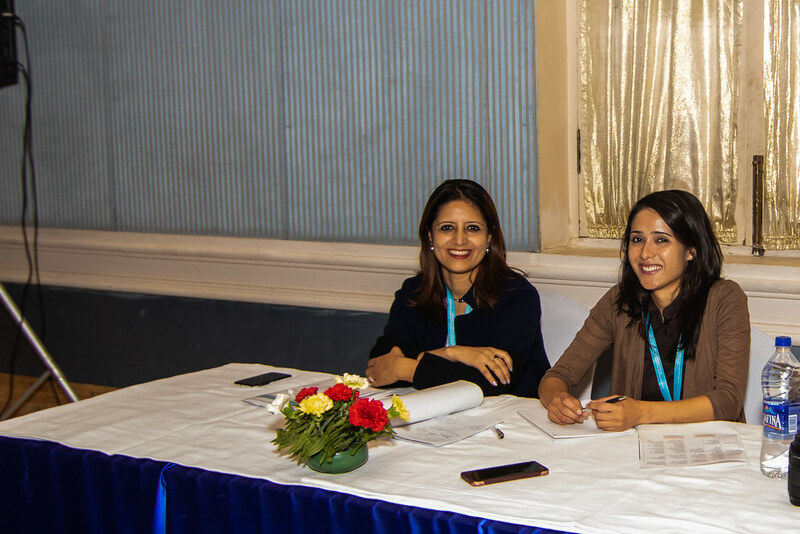 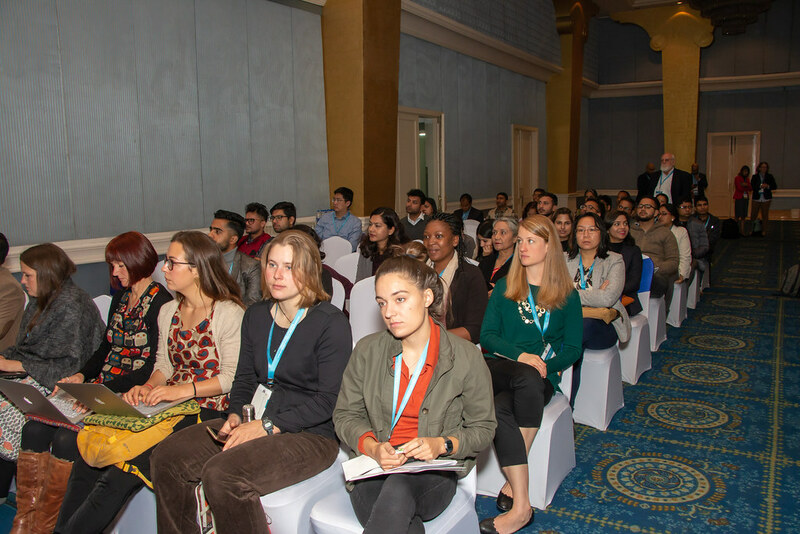 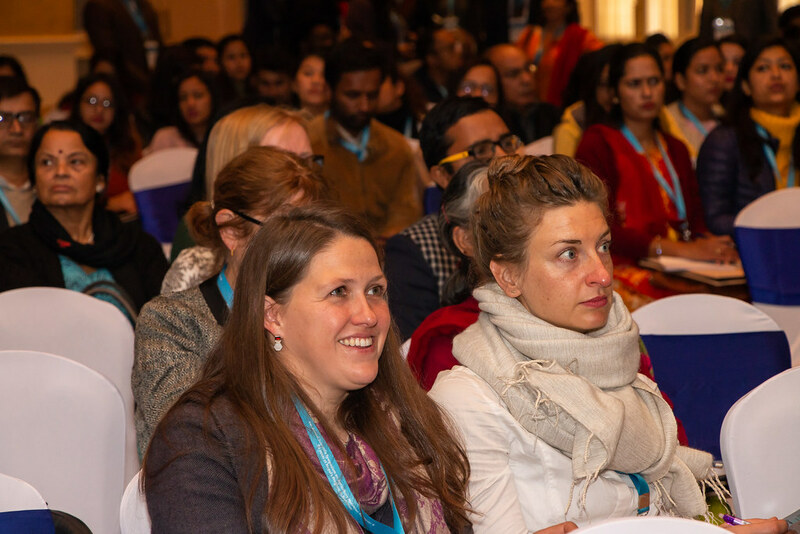 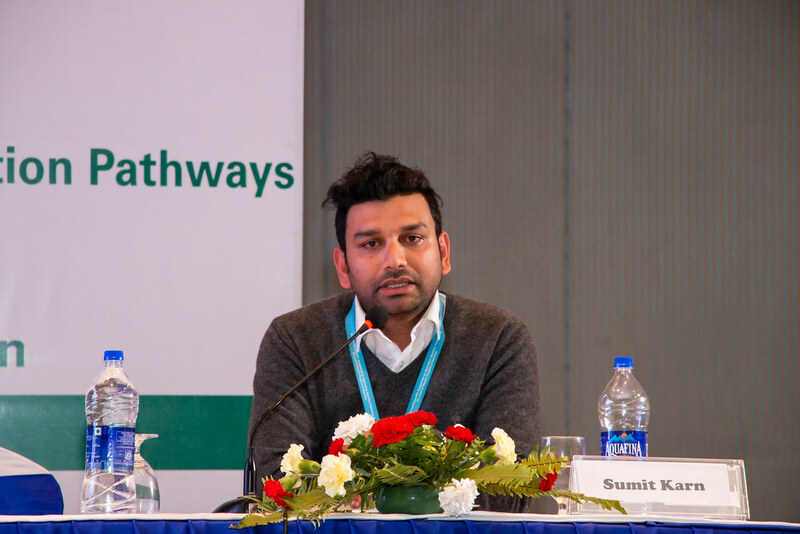 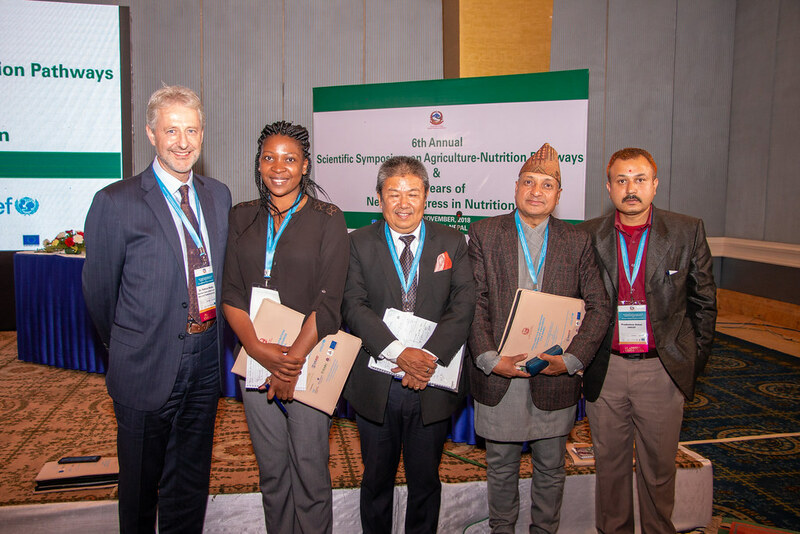 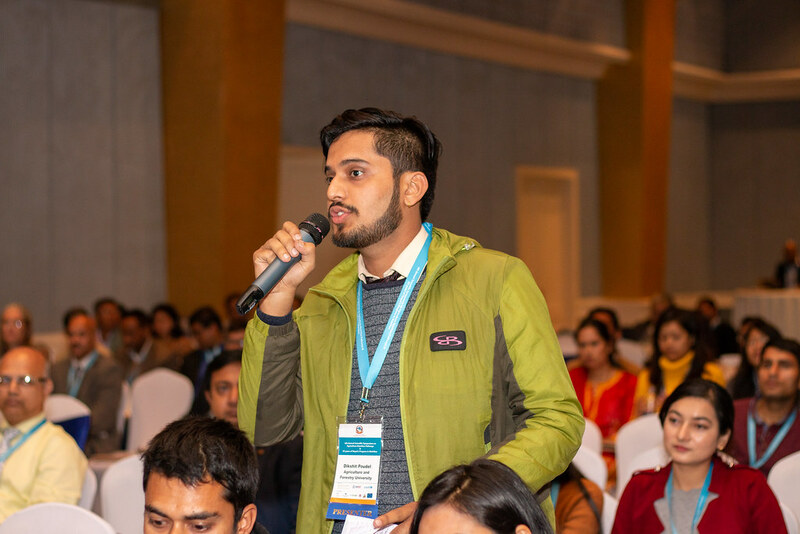 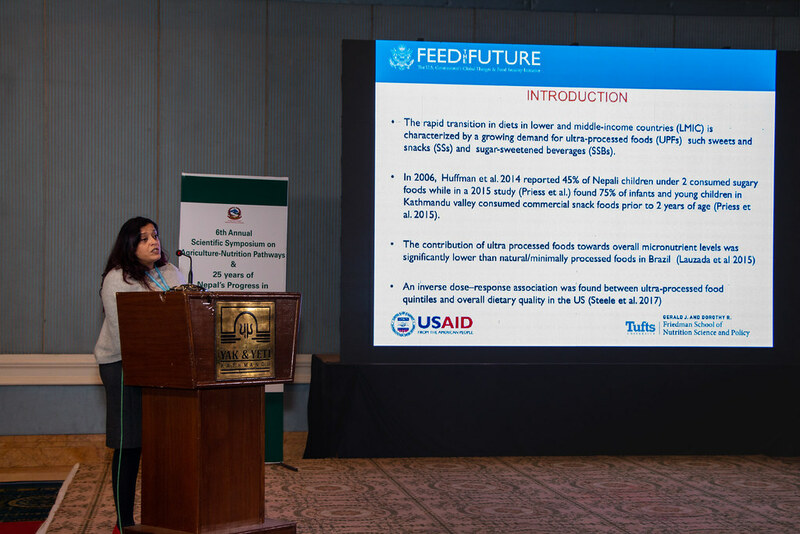 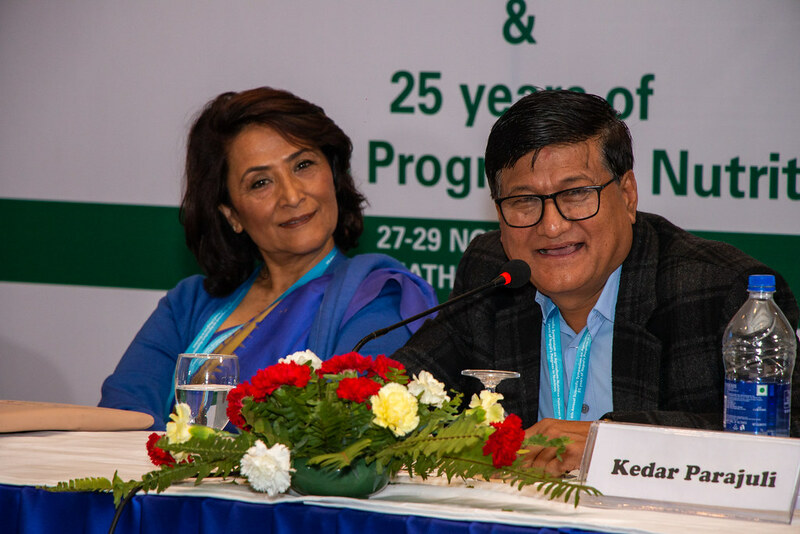 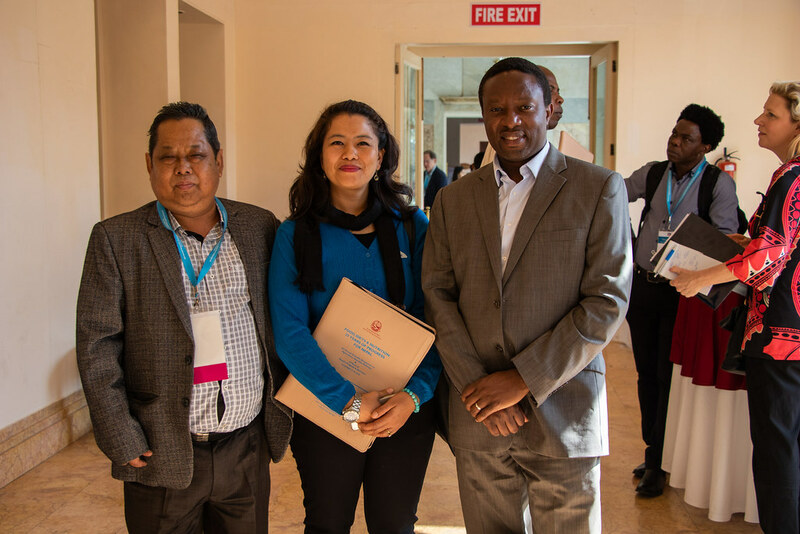 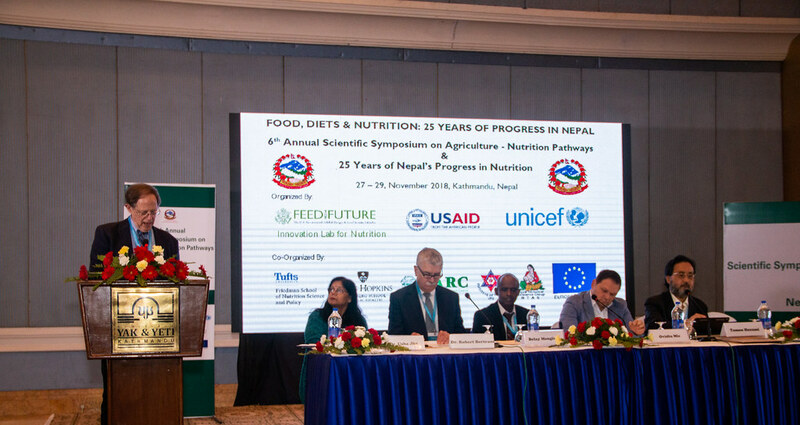 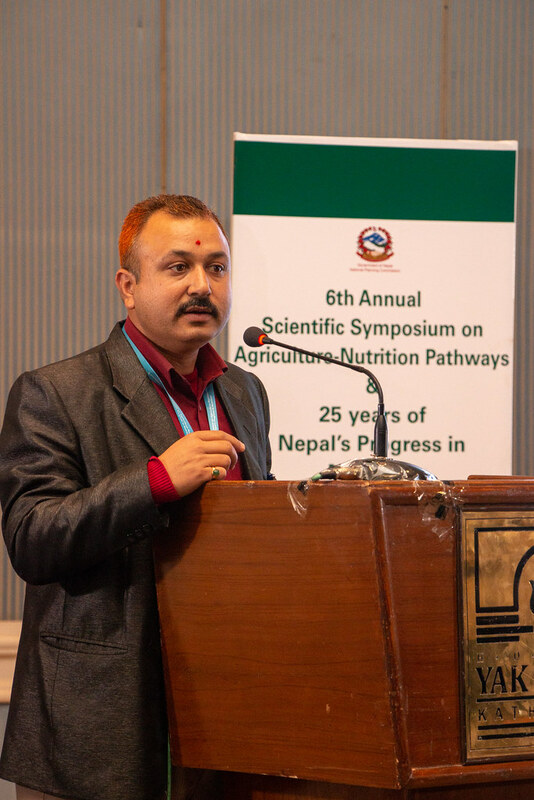 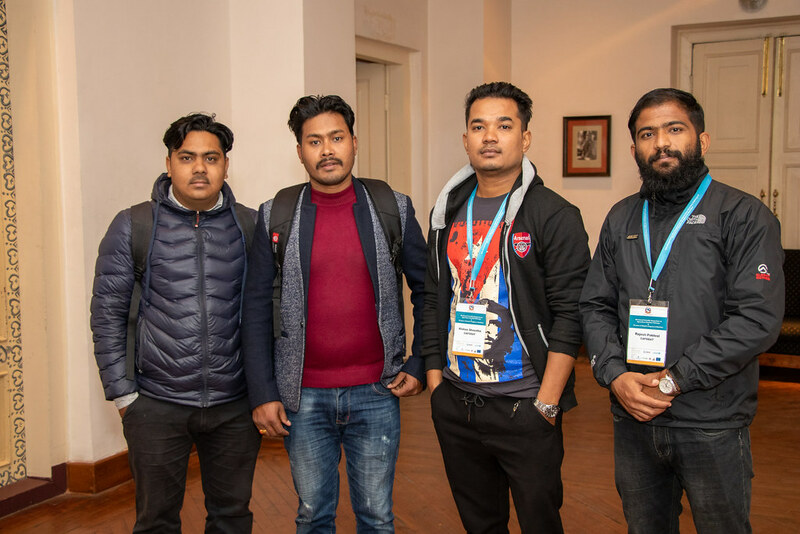 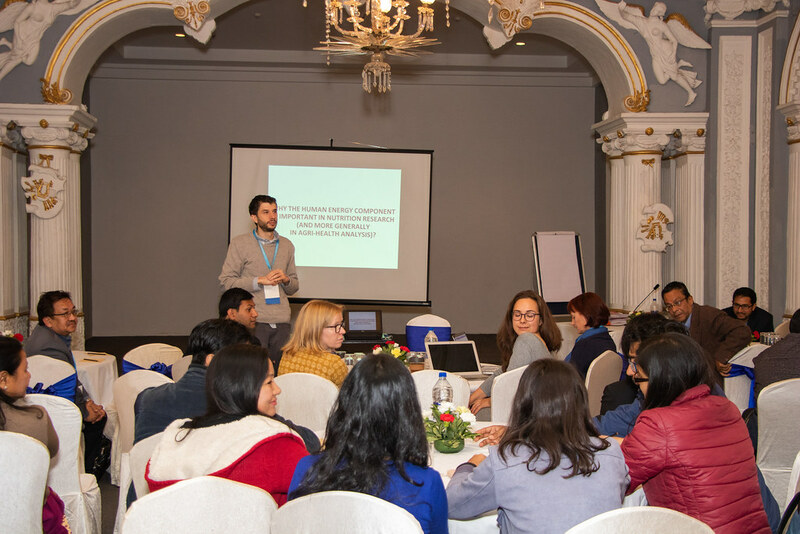 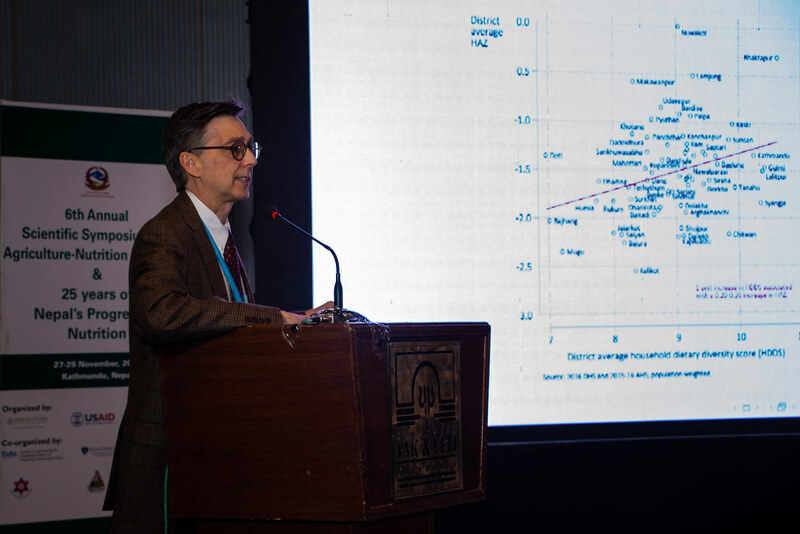 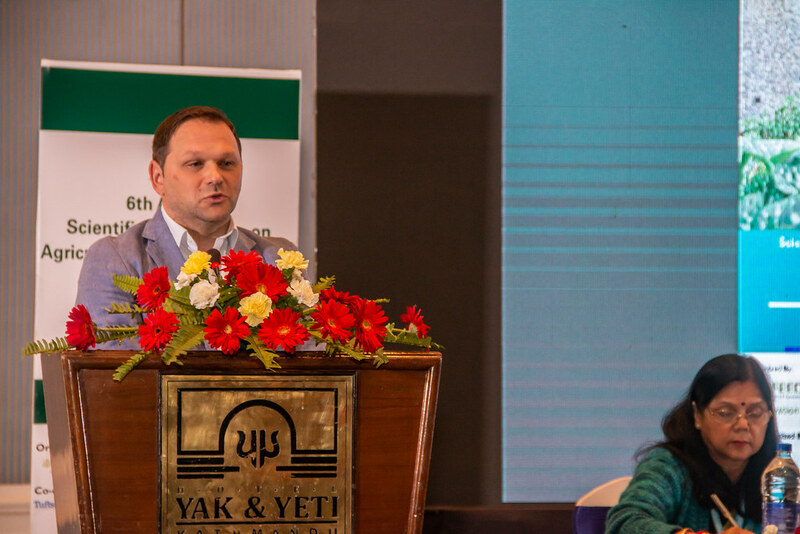 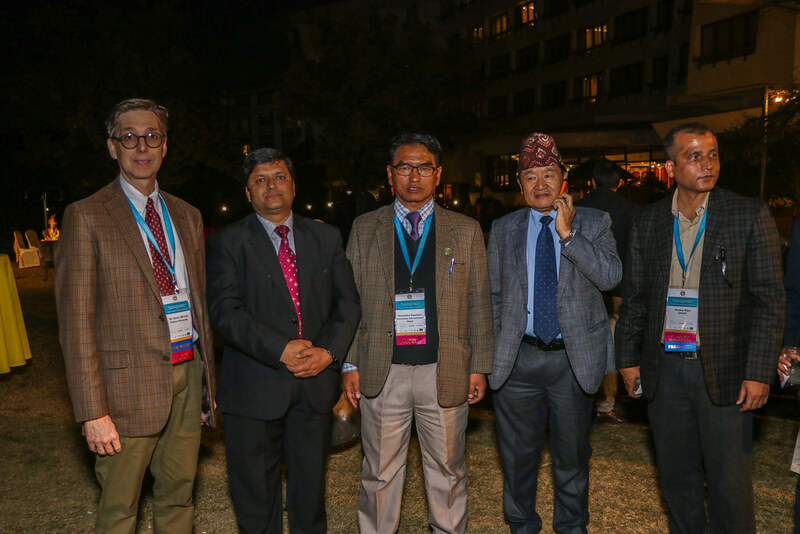 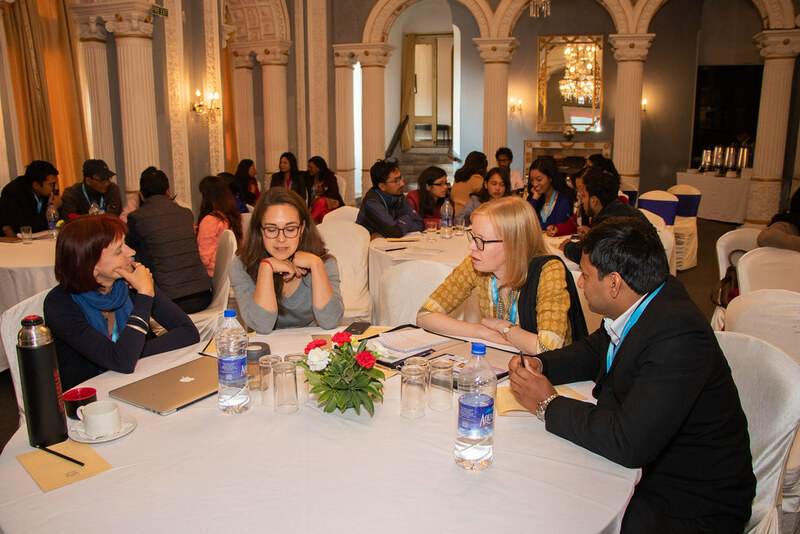 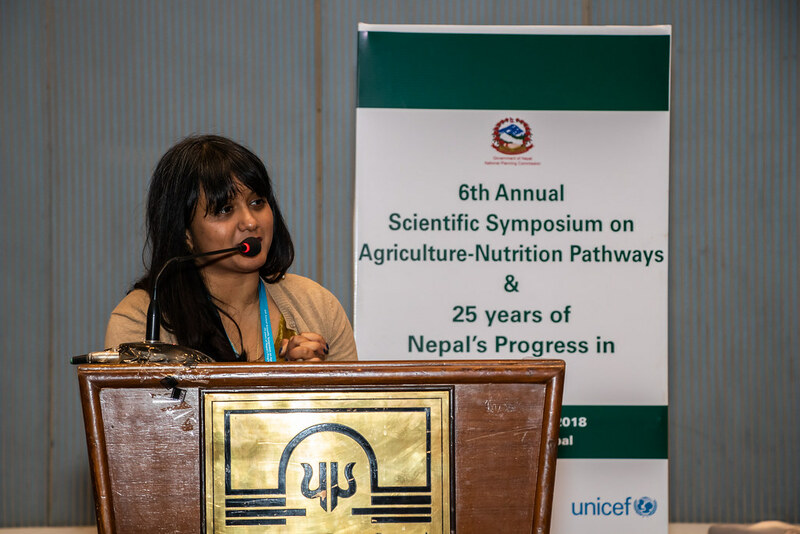 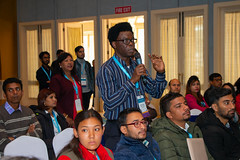 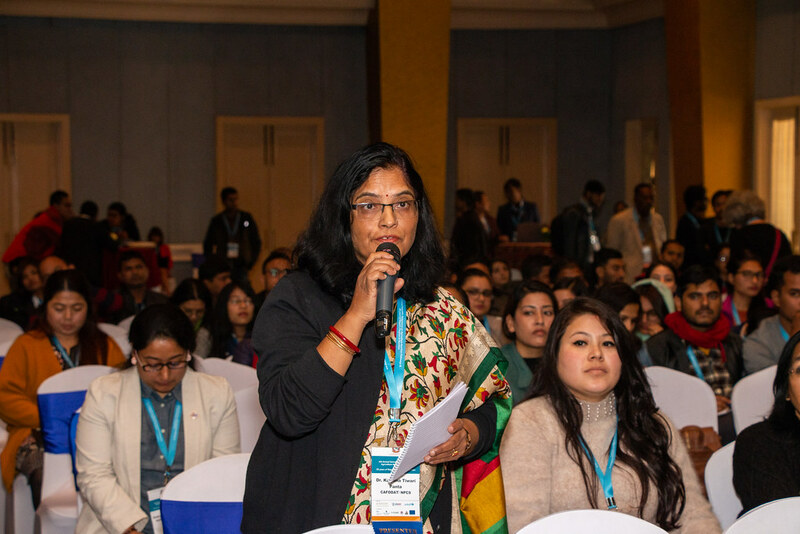 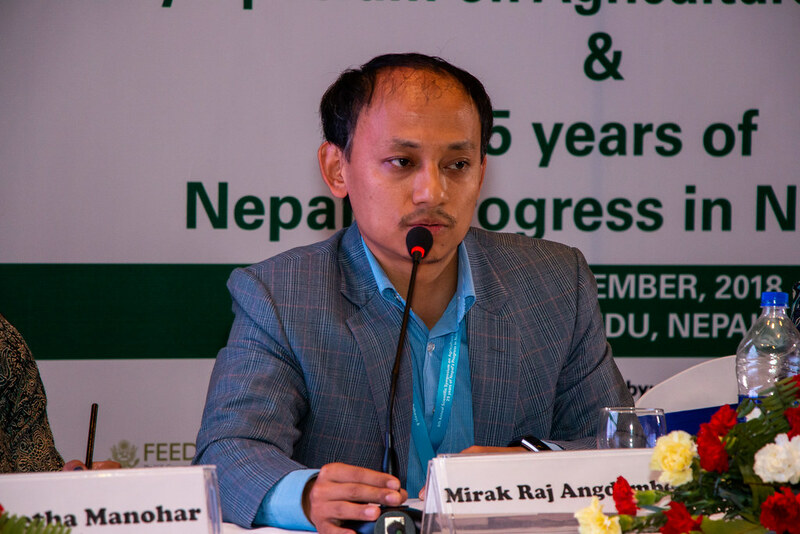 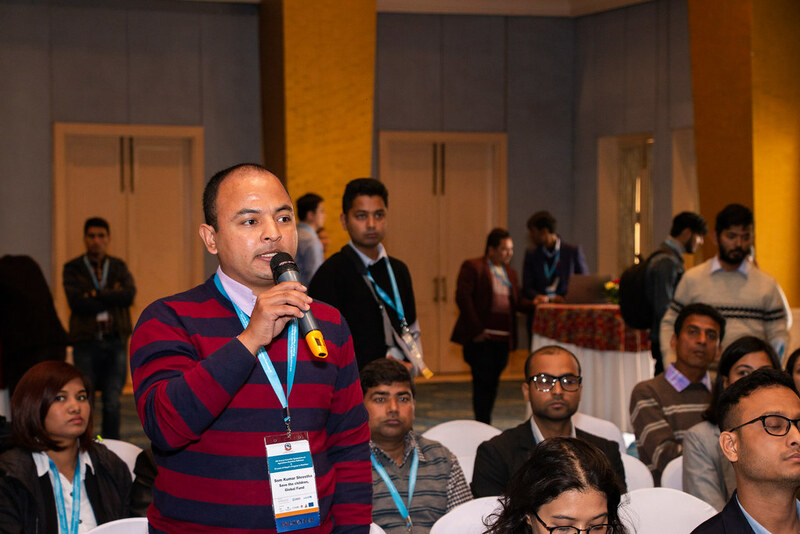 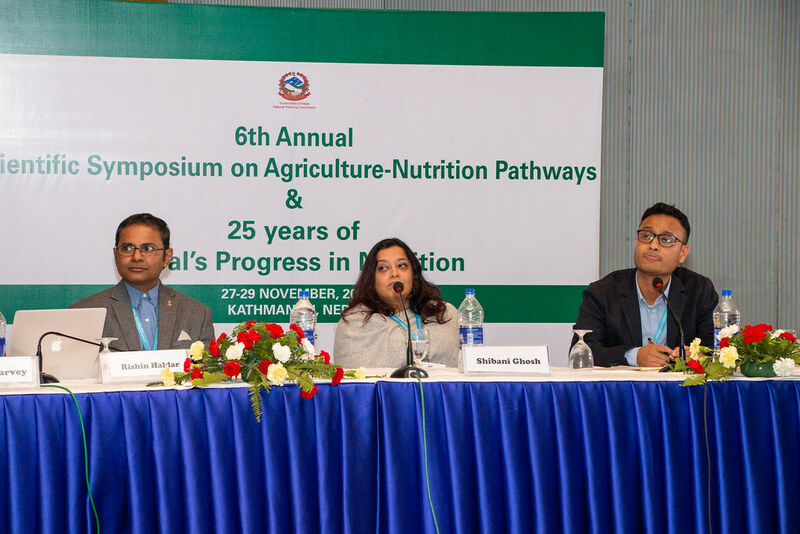 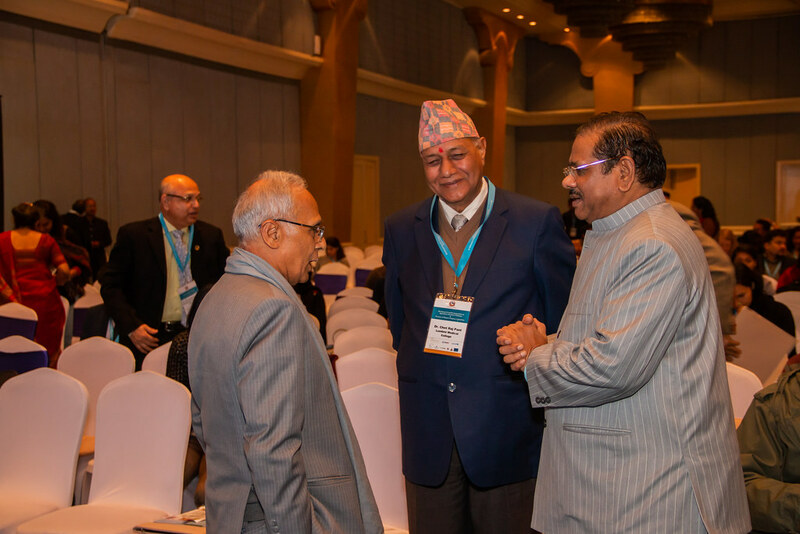 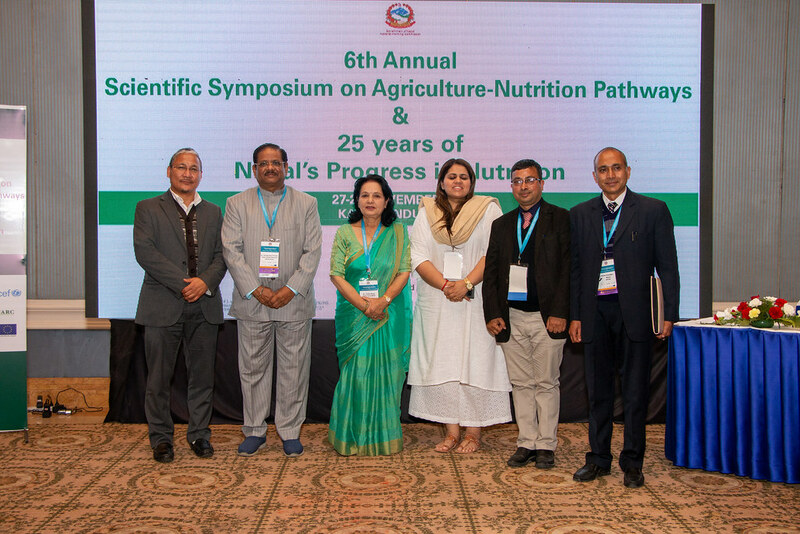 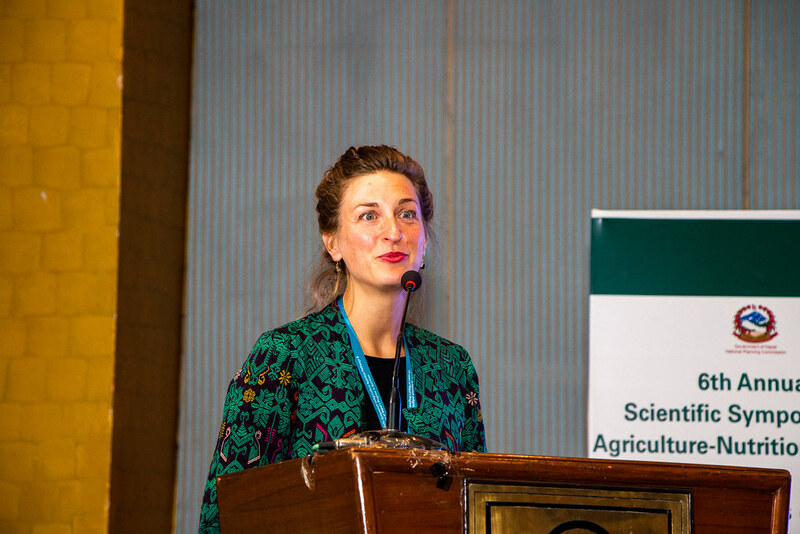 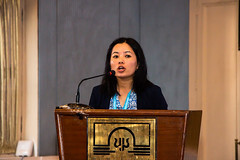 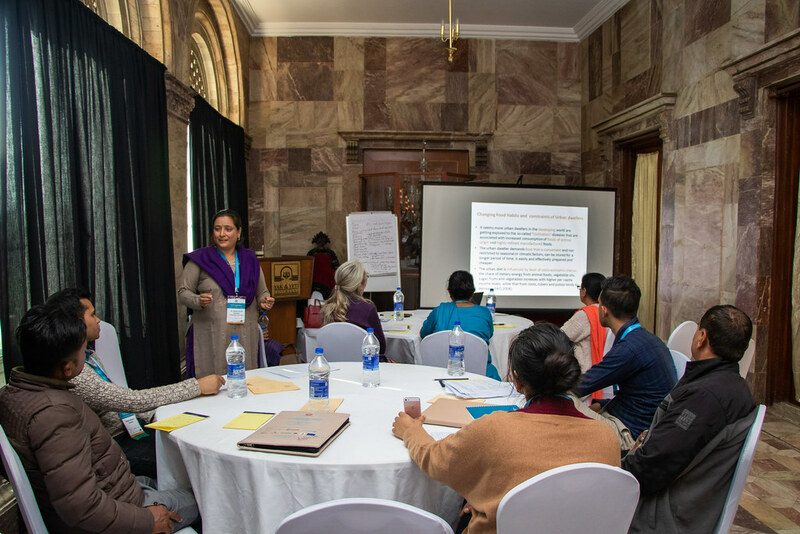 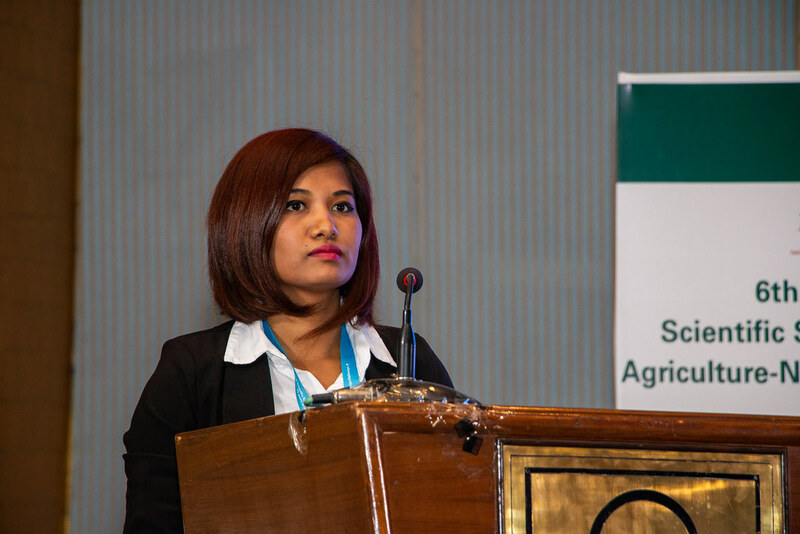 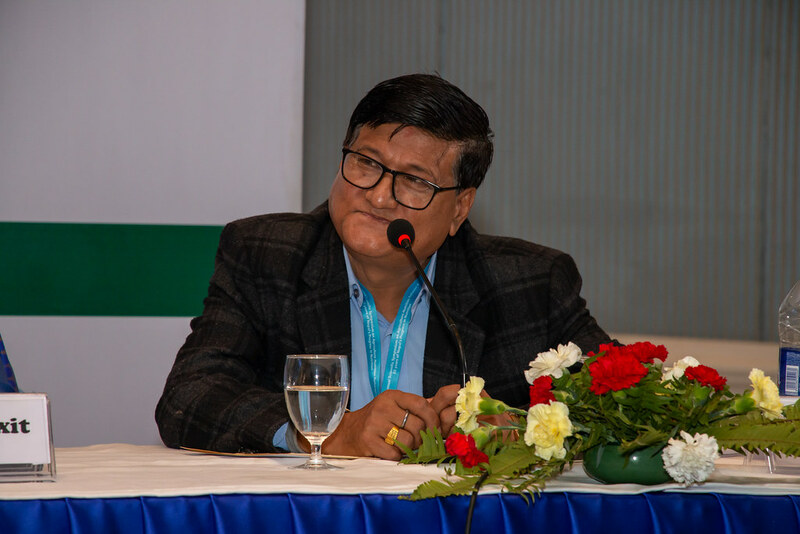 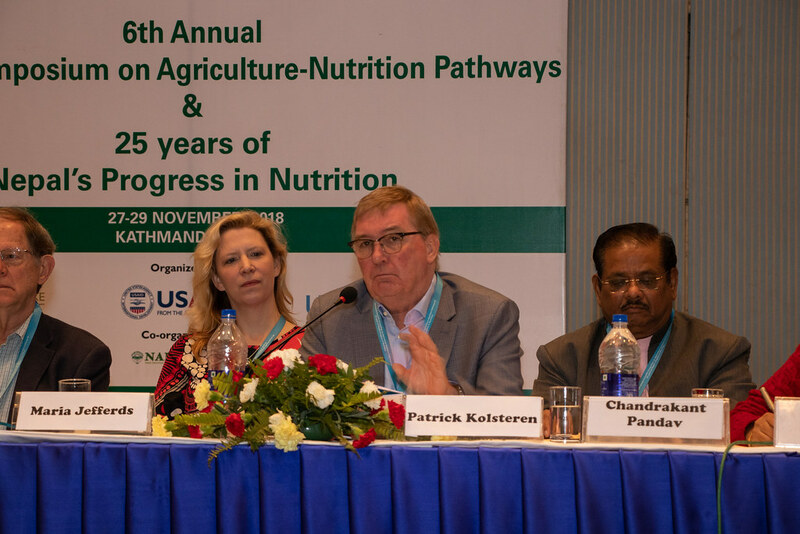 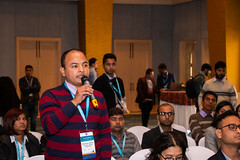 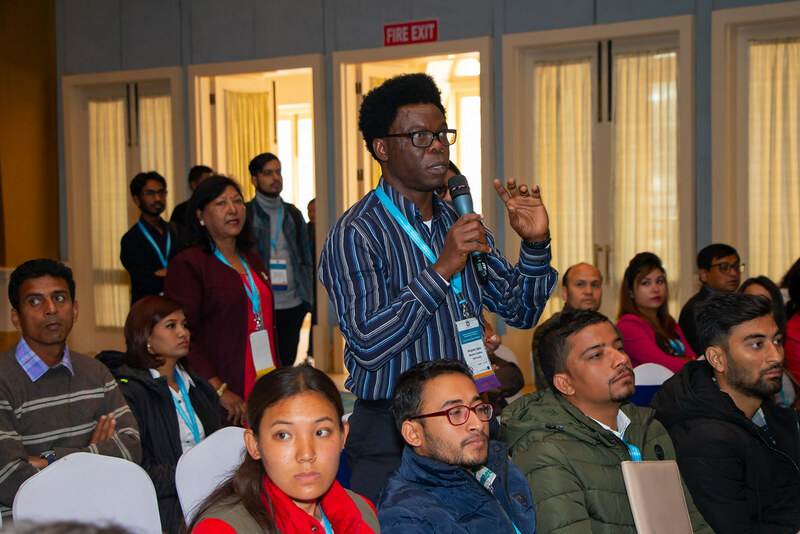 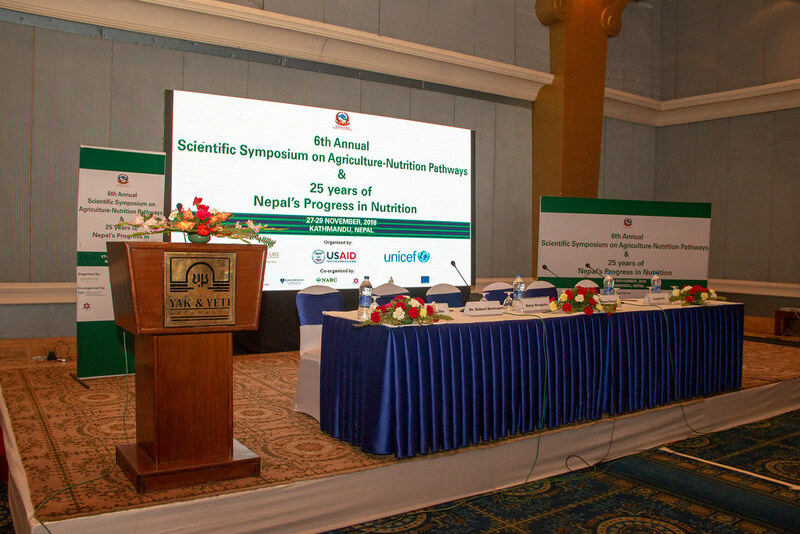 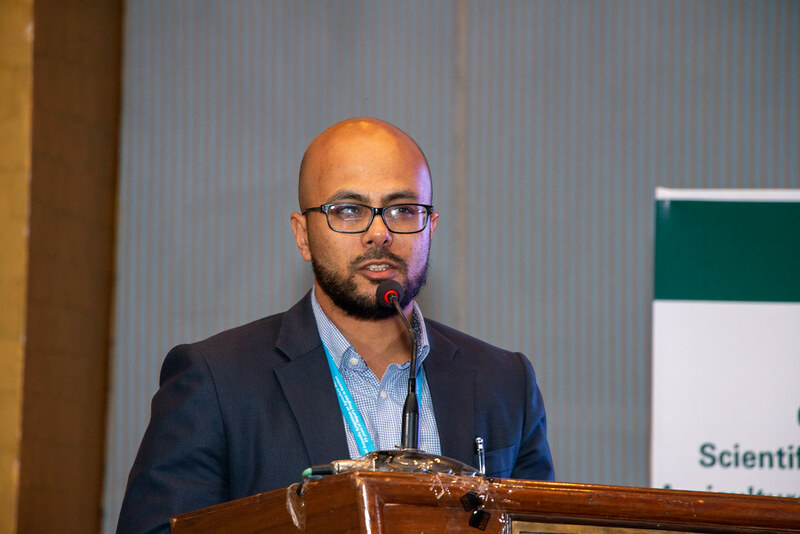 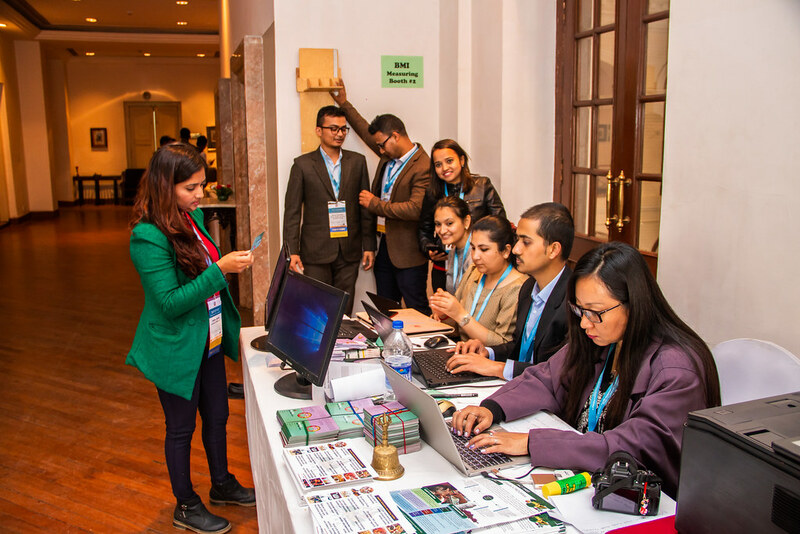 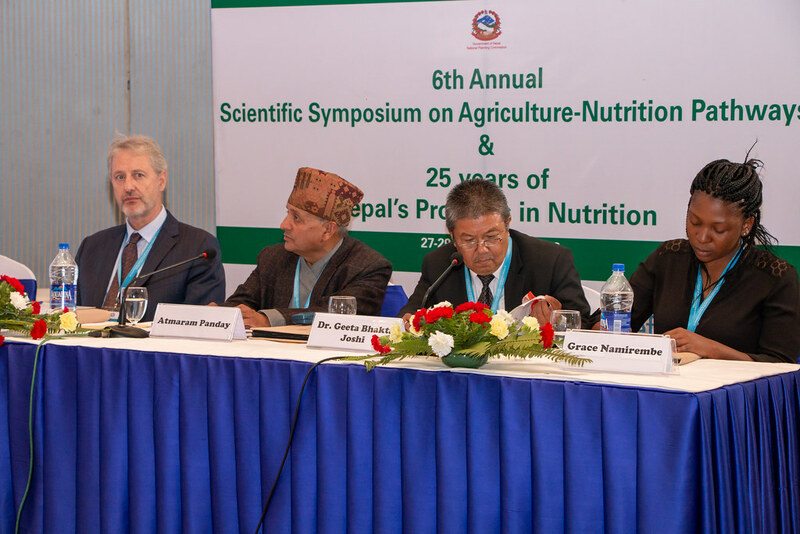 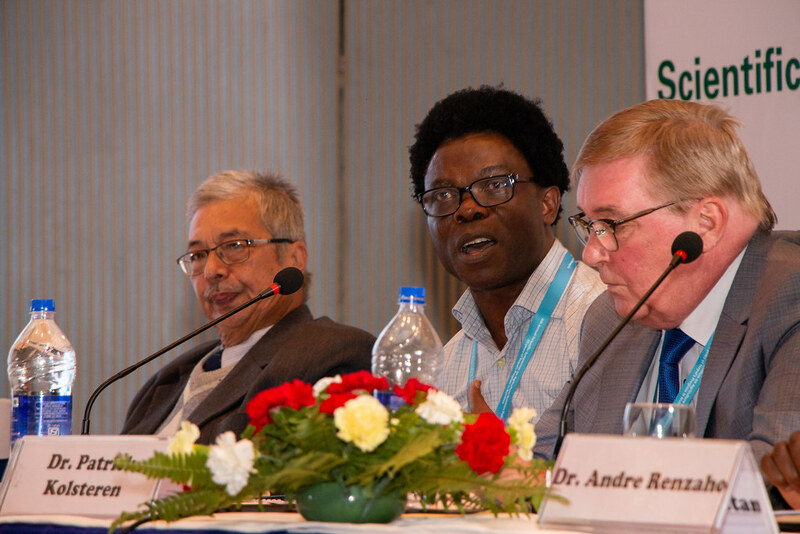 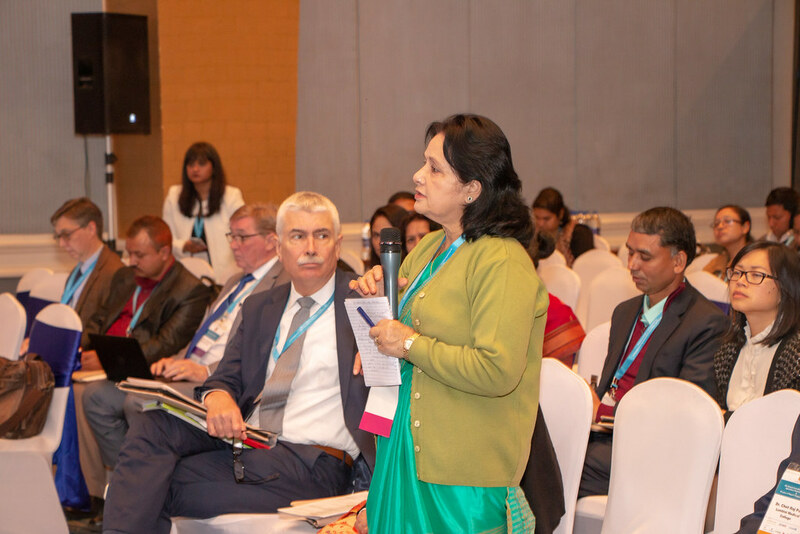 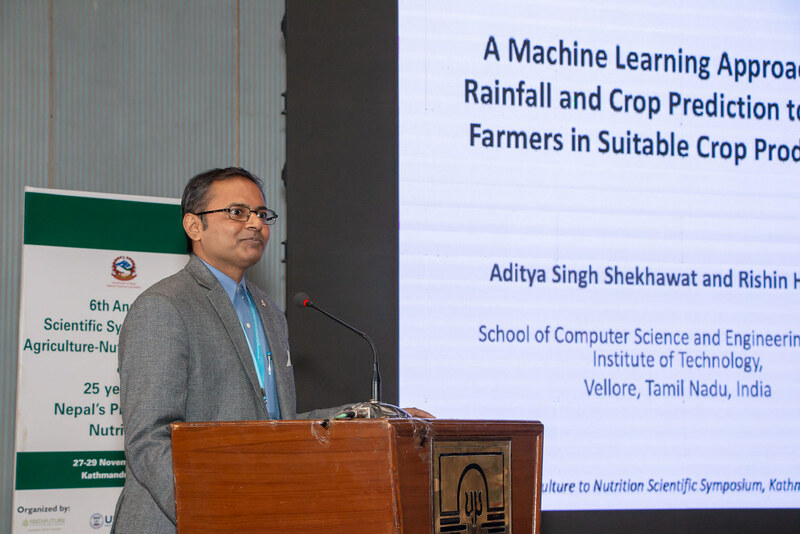 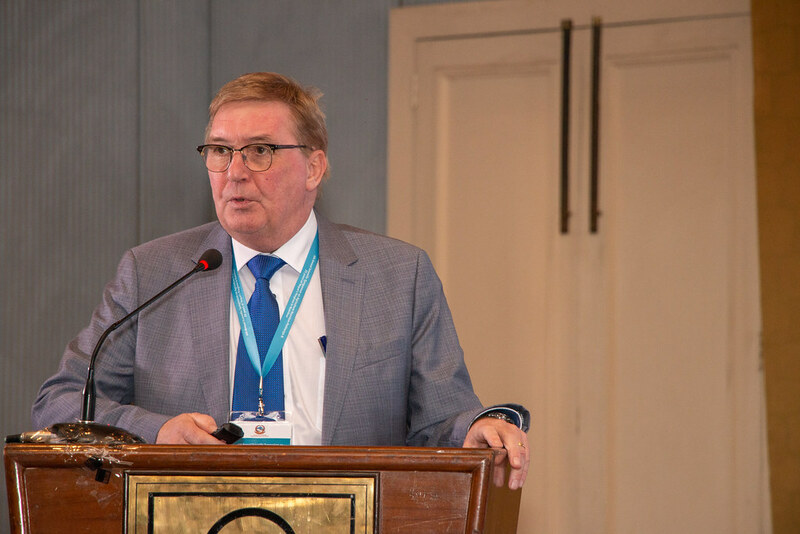 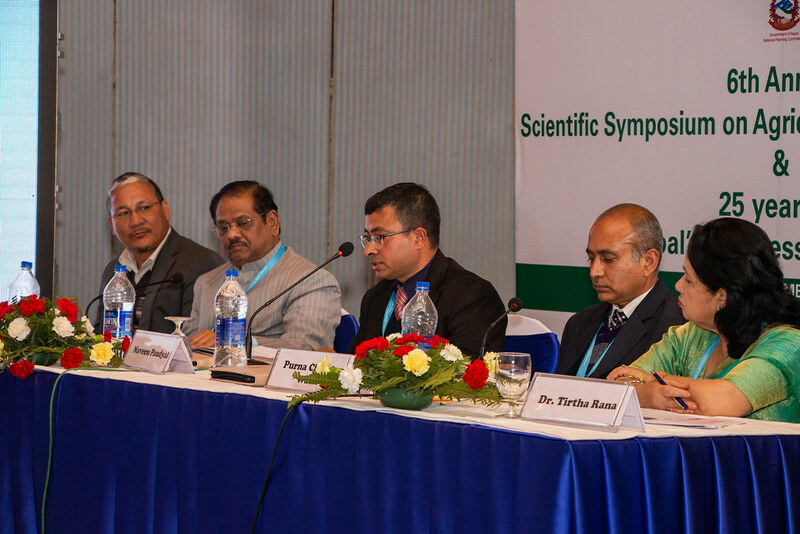 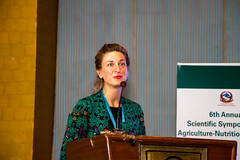 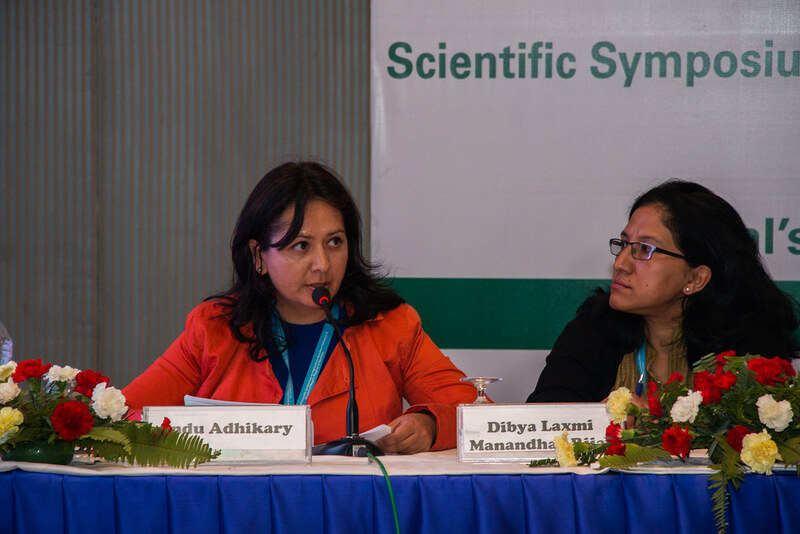 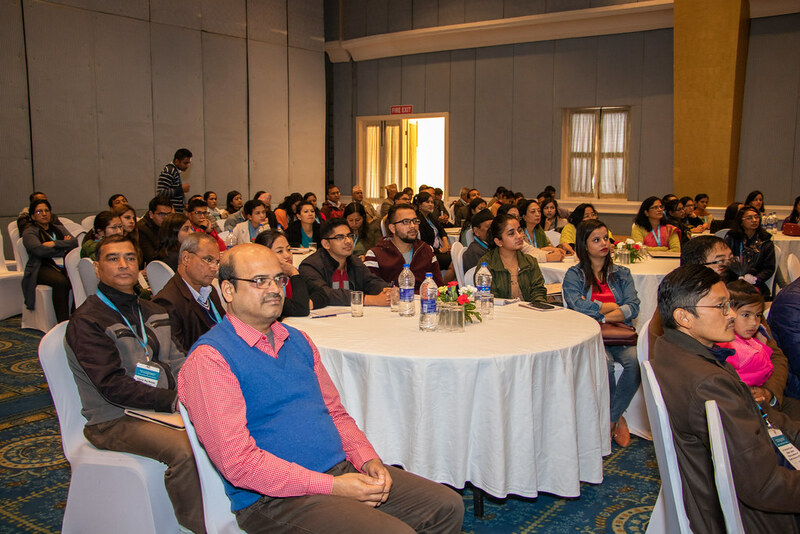 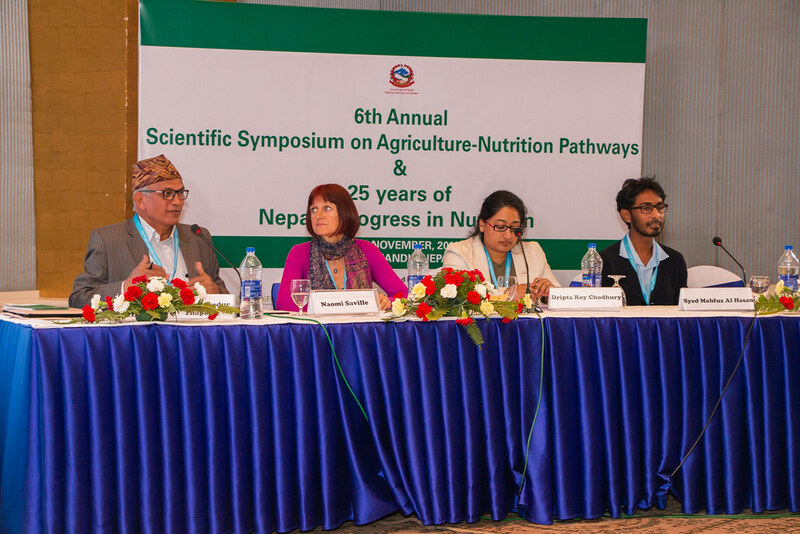 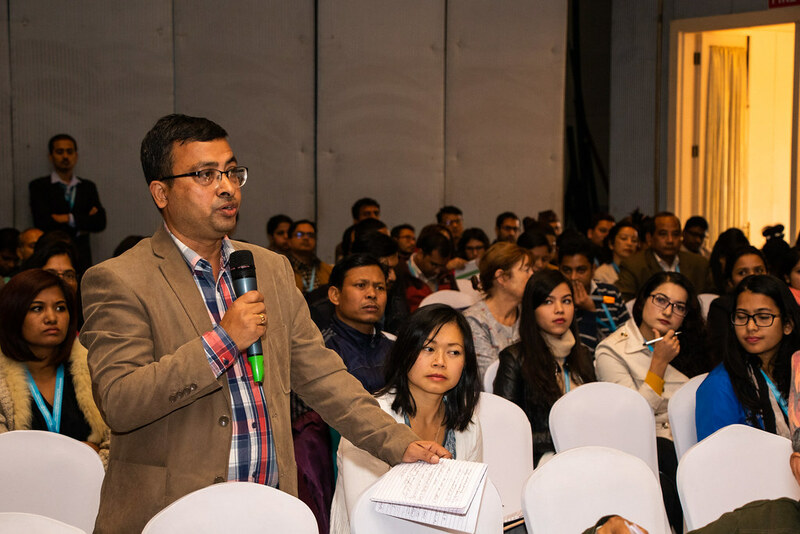 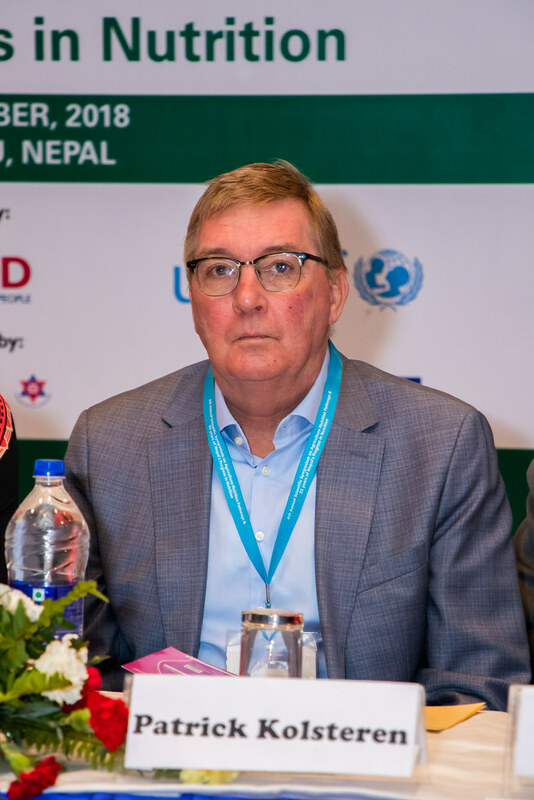 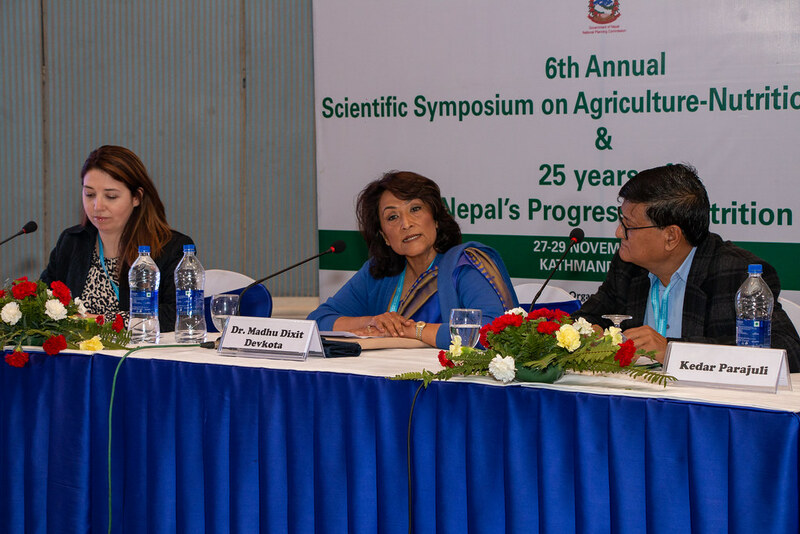 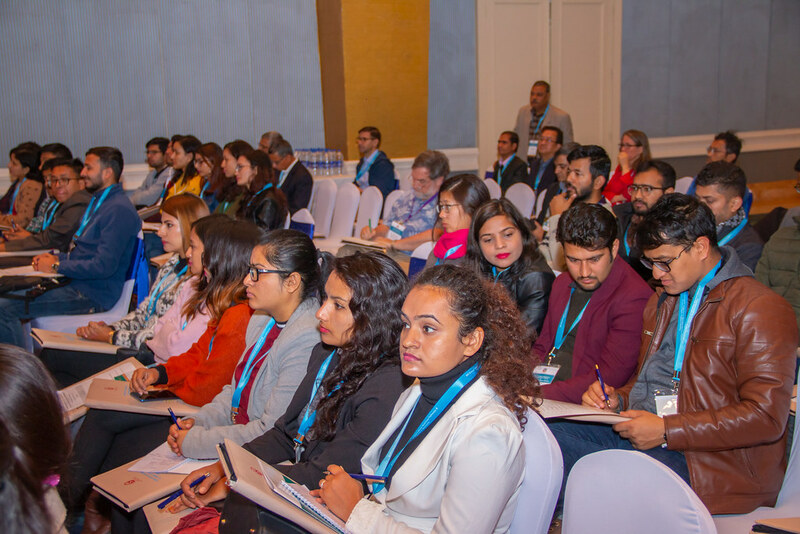 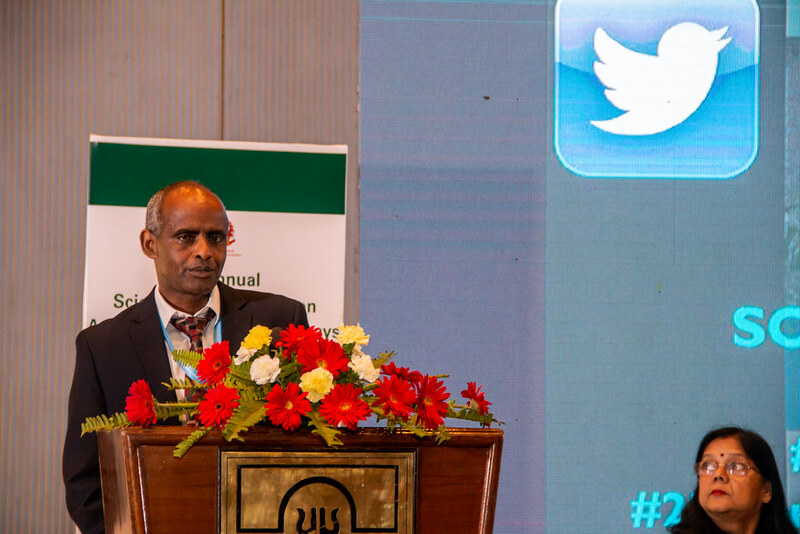 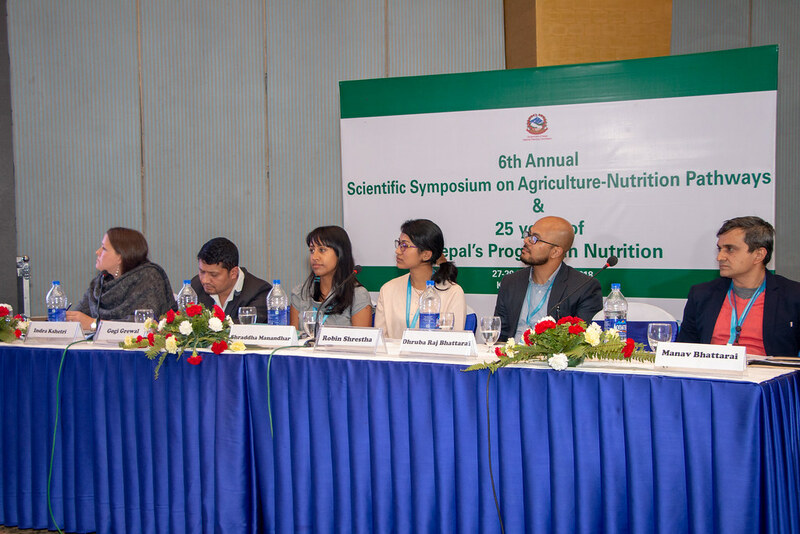 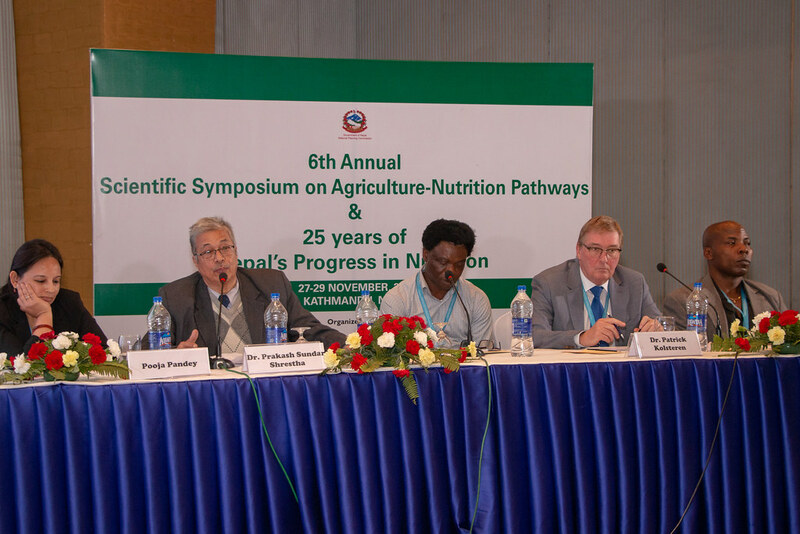 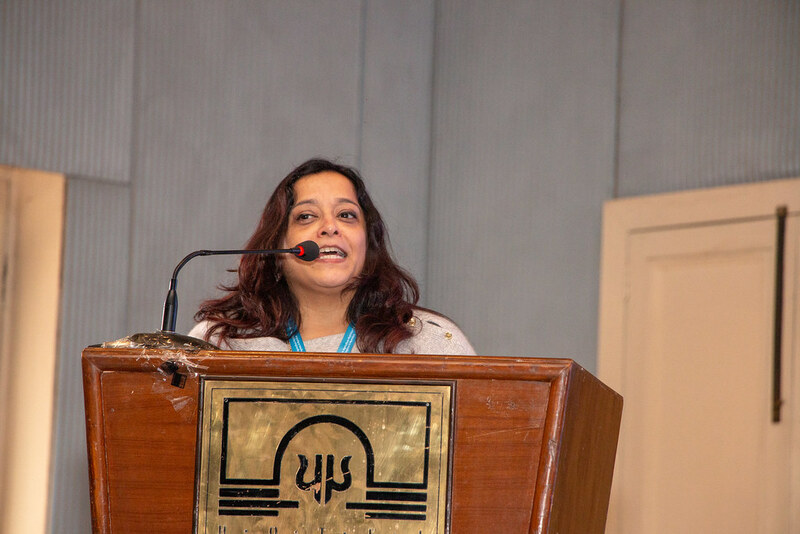 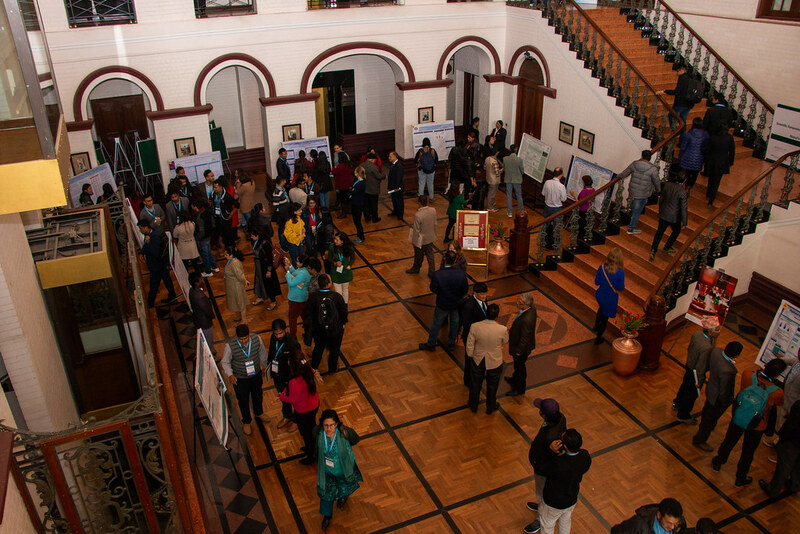 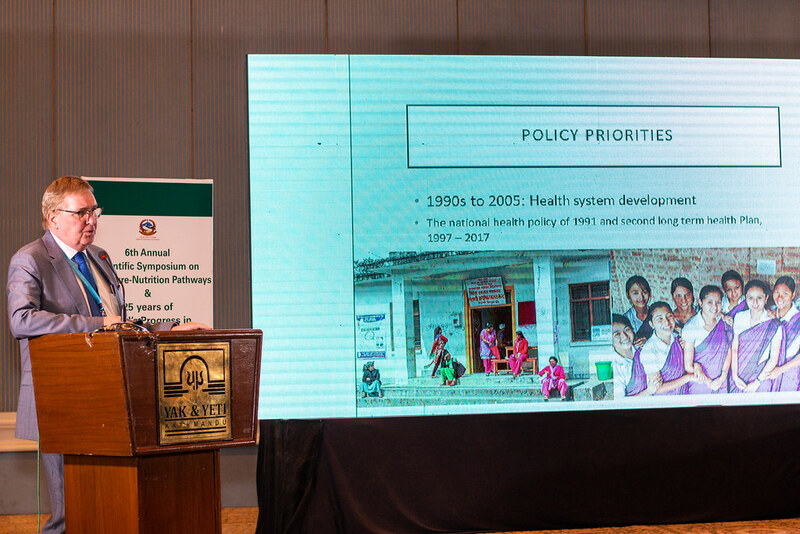 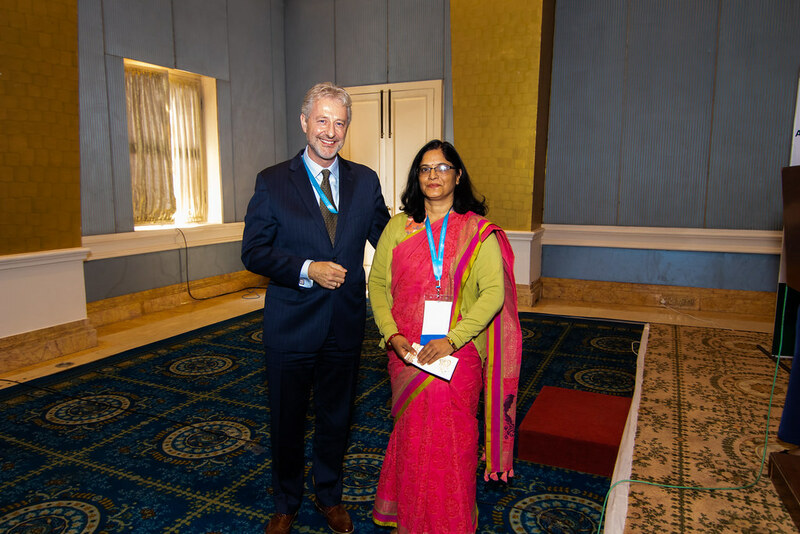 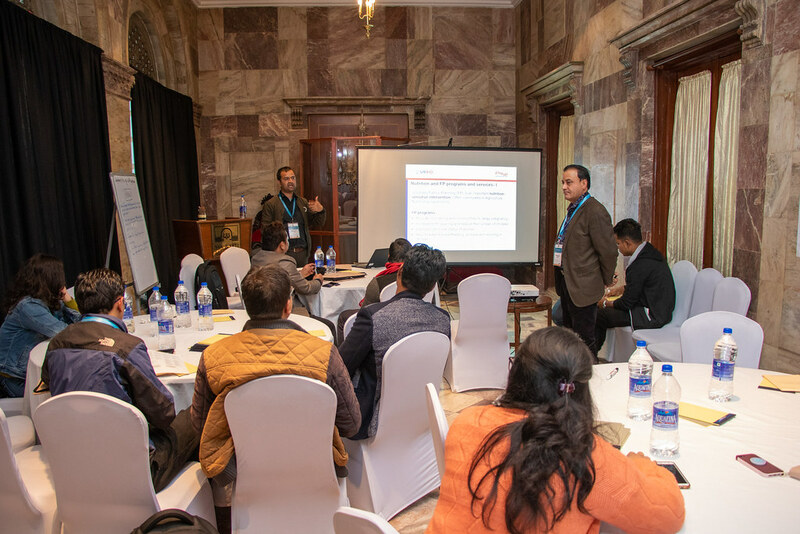 The Feed the Future Innovation Lab for Nutrition in partner with GON and UNICEF hosted the 6th Annual Scientific Symposium on Agriculture - Nutrition pathways & 25 Years of Nepal's Progress on Nutrition from November 27-29, 2018 at hotel Yak and Yeti, Kathmandu. 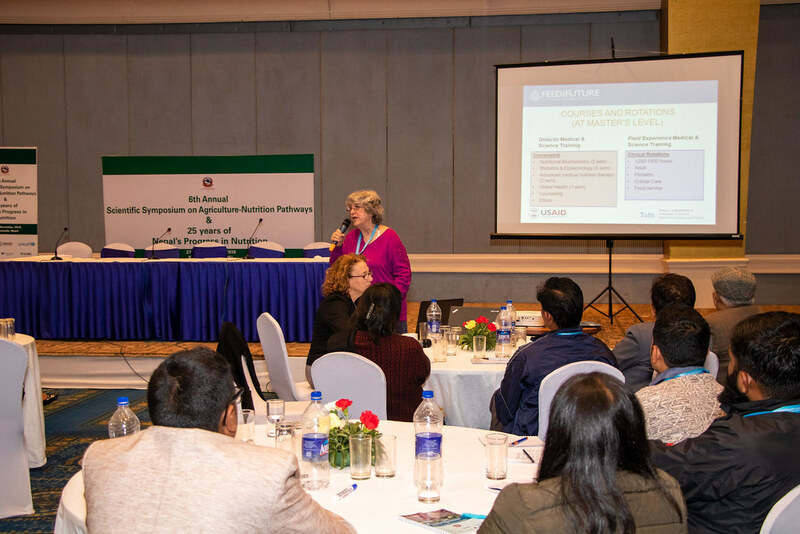 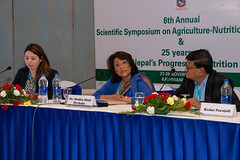 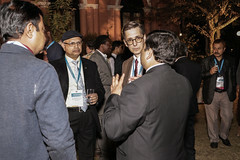 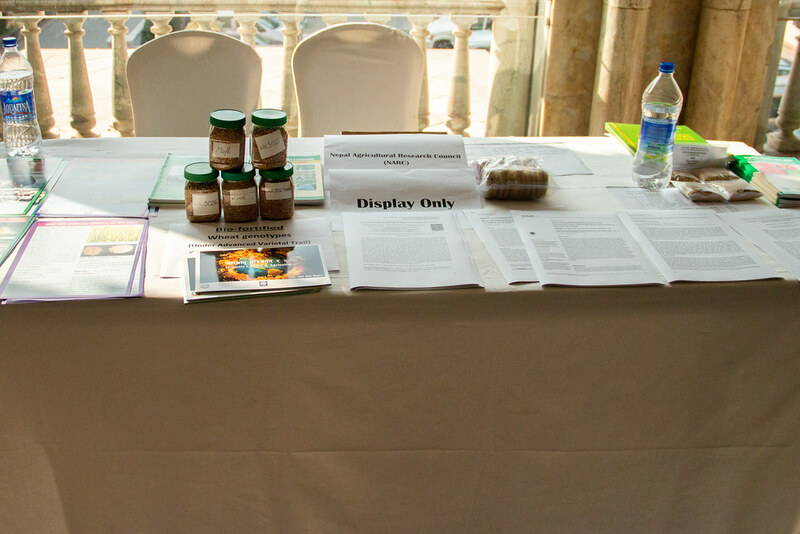 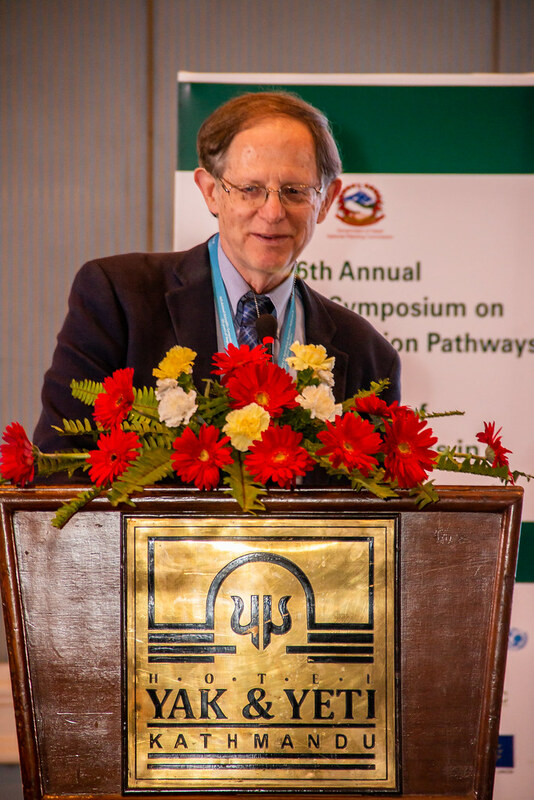 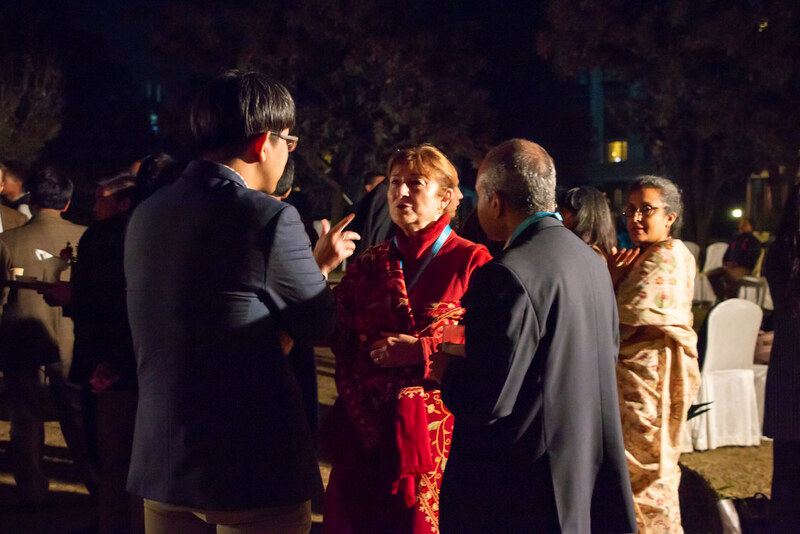 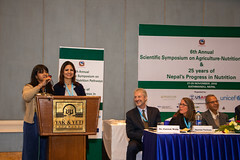 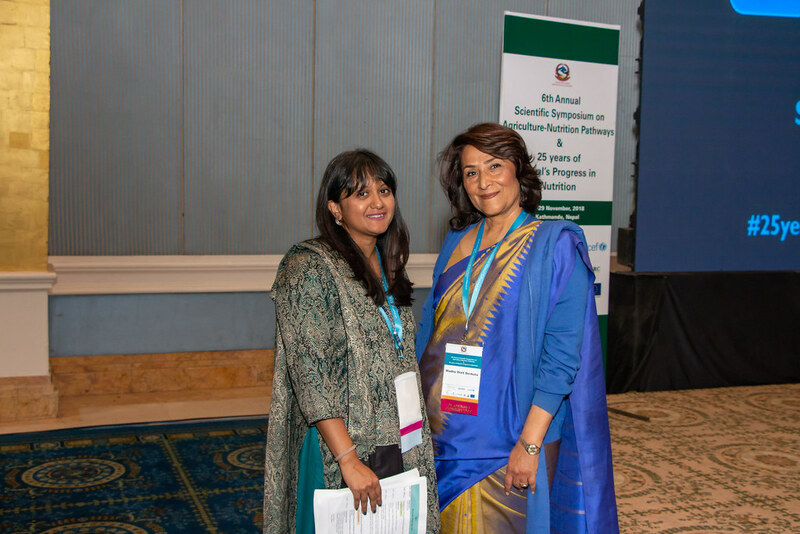 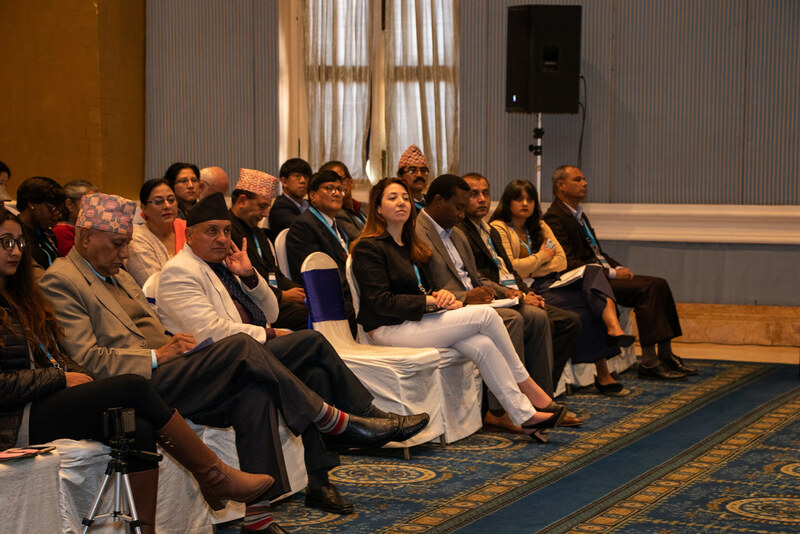 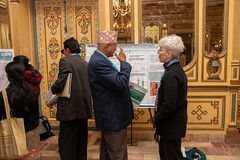 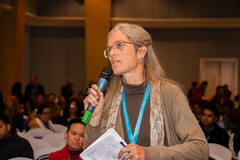 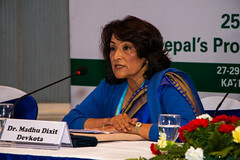 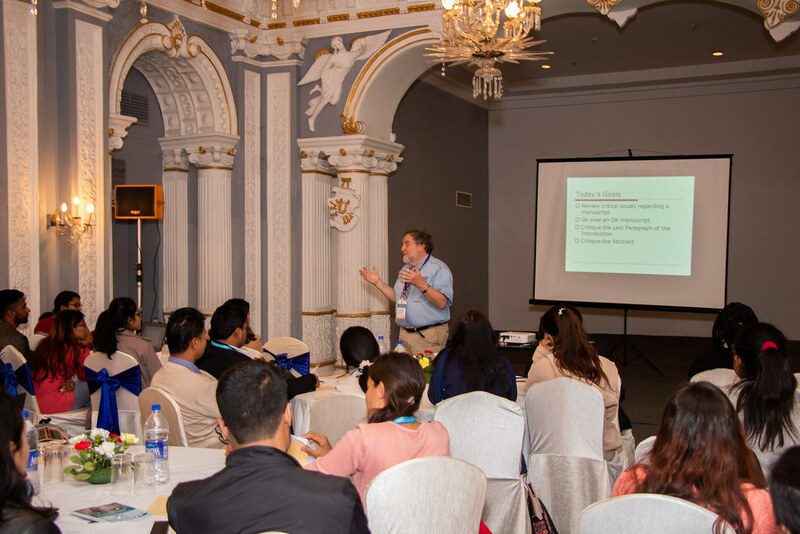 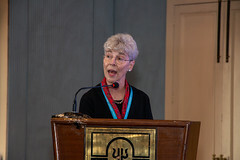 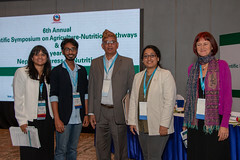 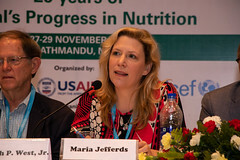 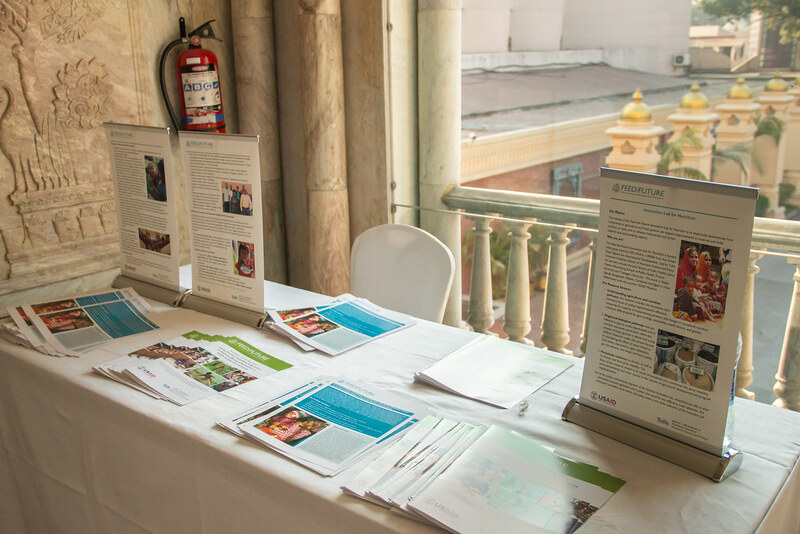 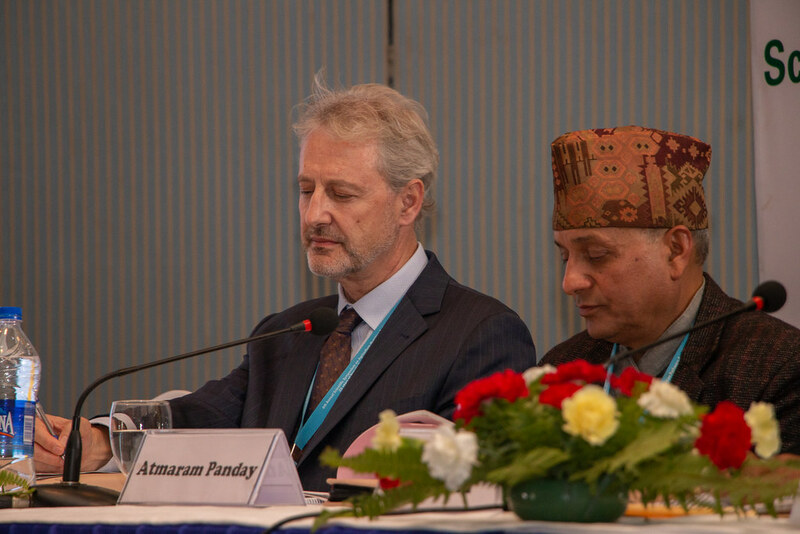 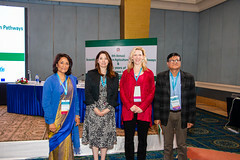 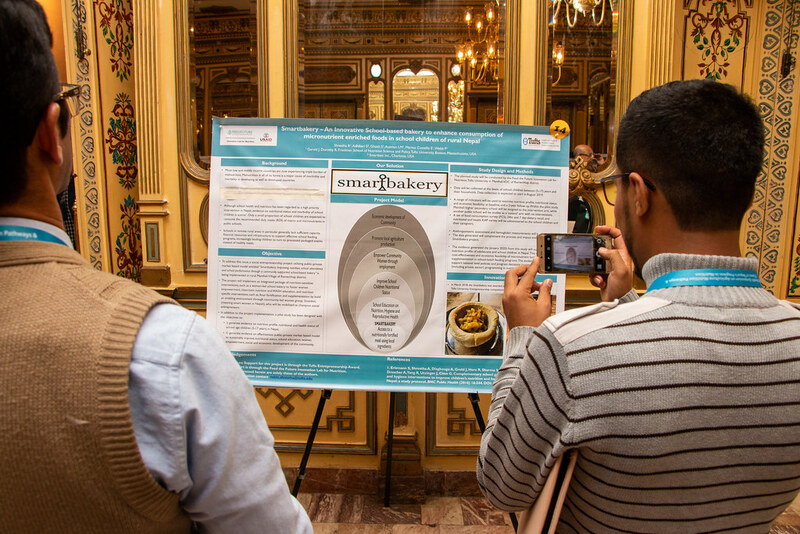 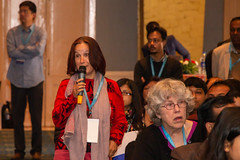 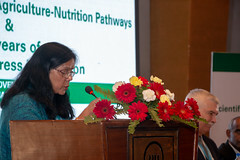 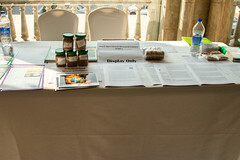 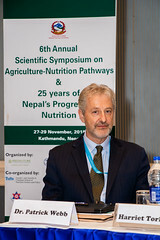 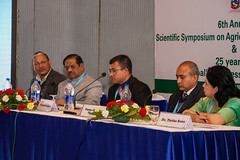 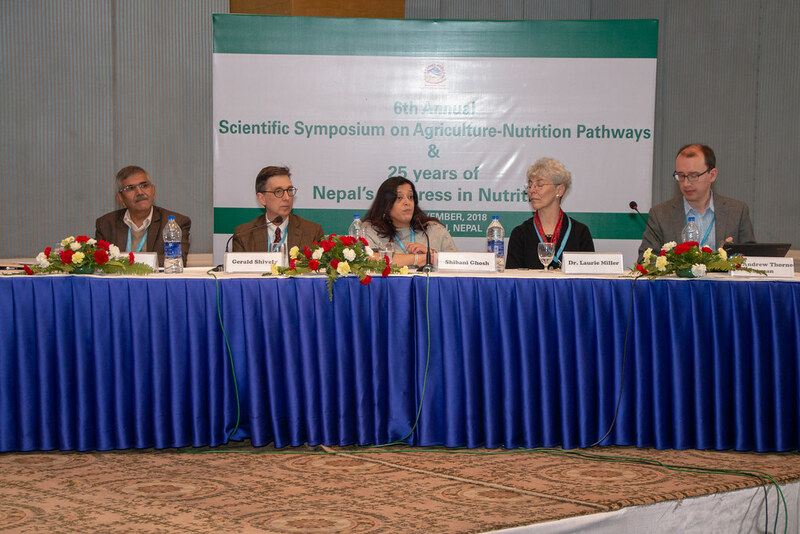 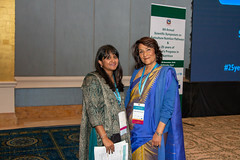 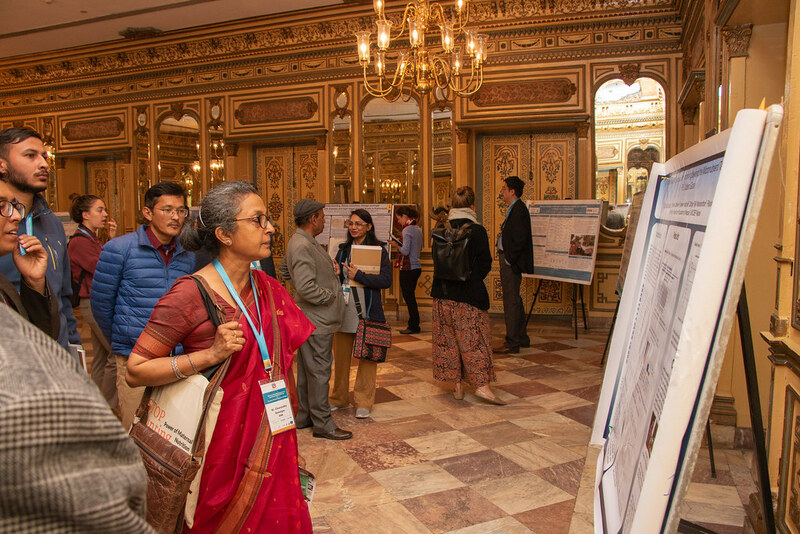 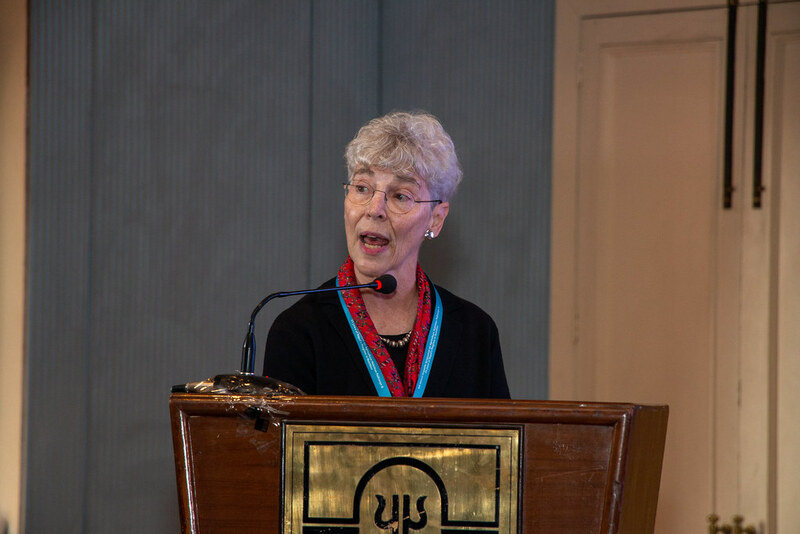 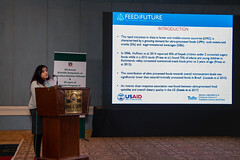 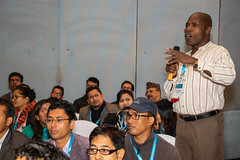 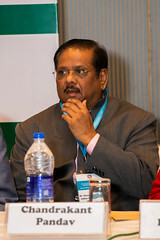 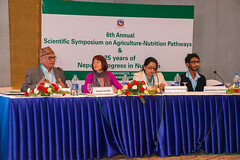 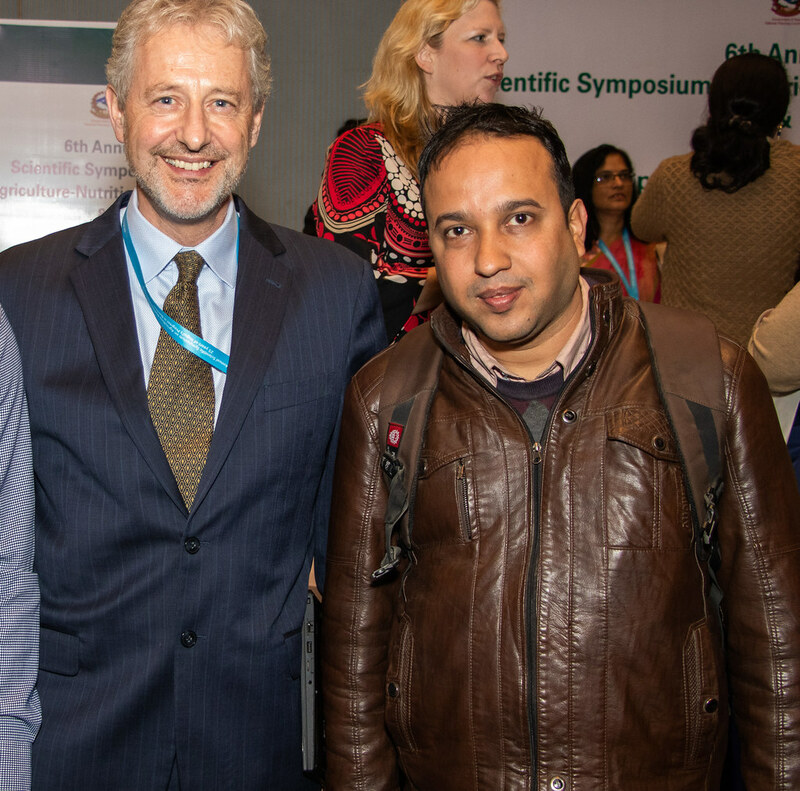 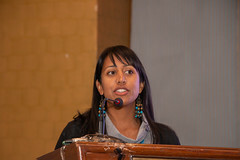 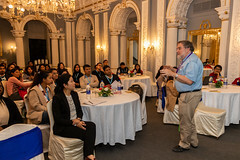 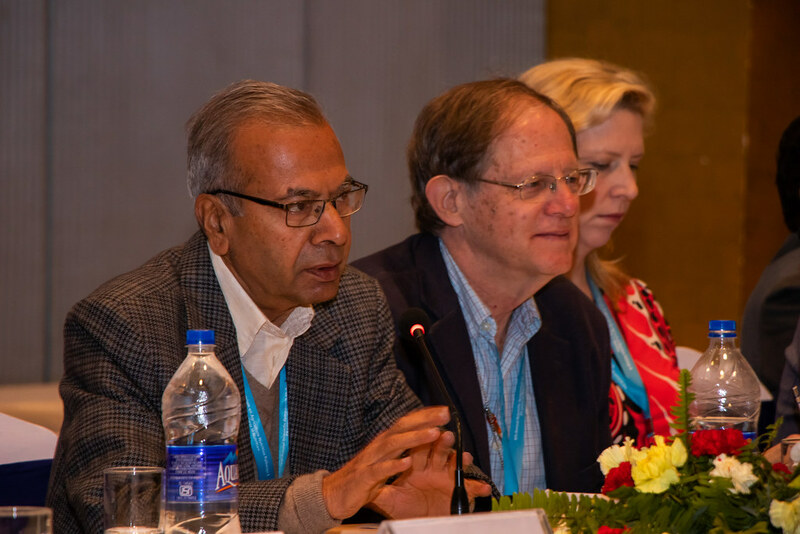 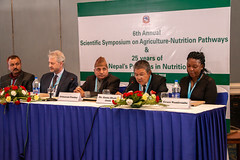 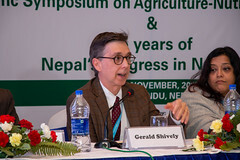 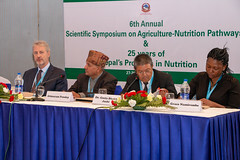 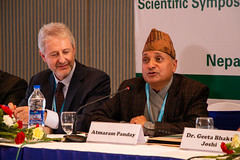 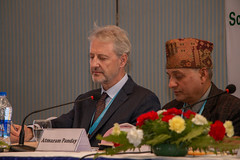 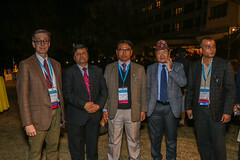 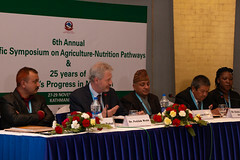 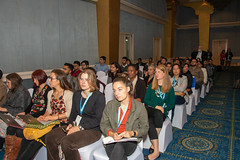 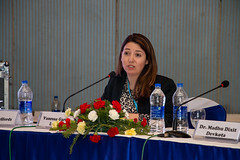 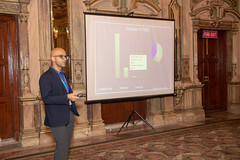 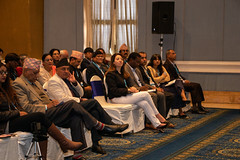 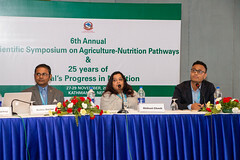 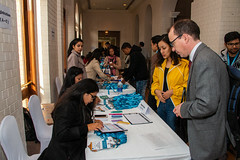 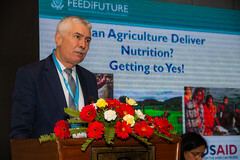 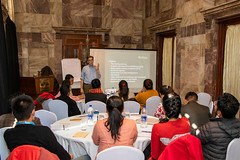 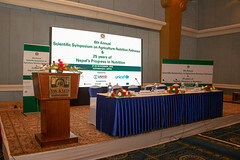 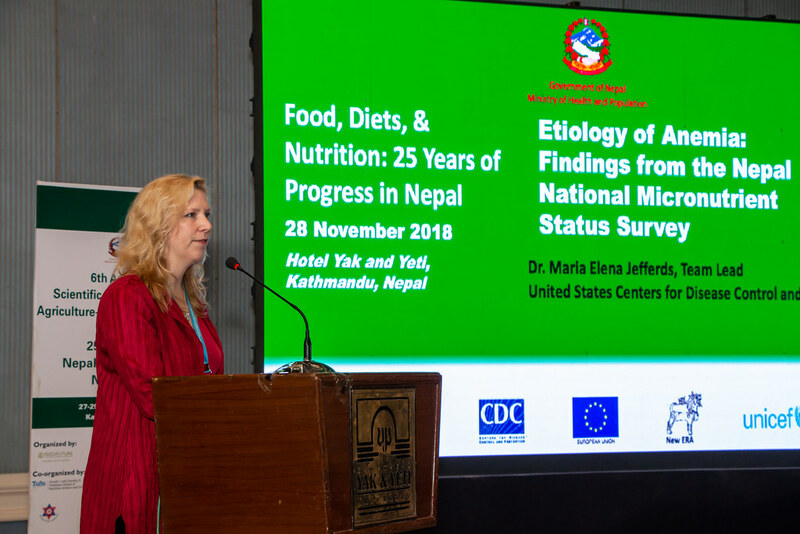 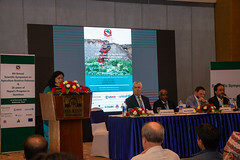 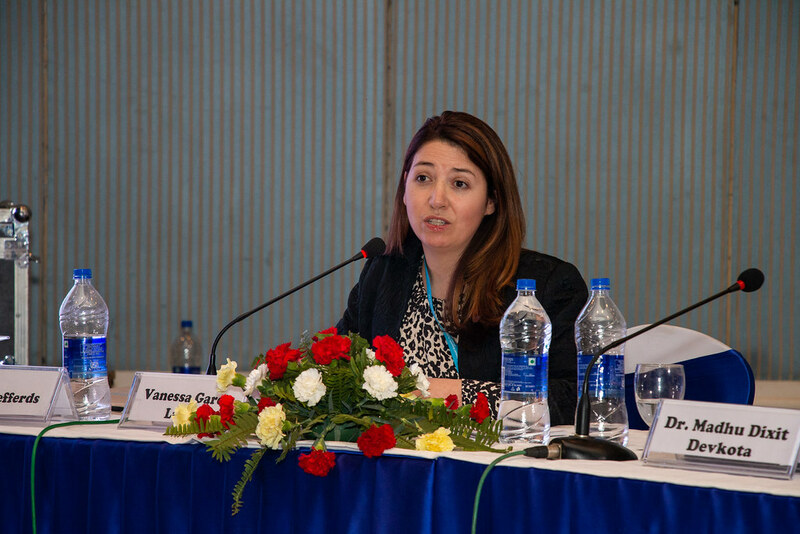 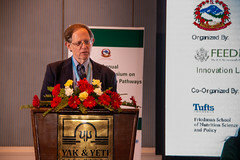 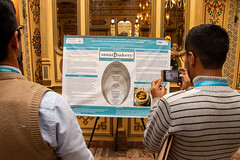 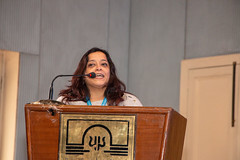 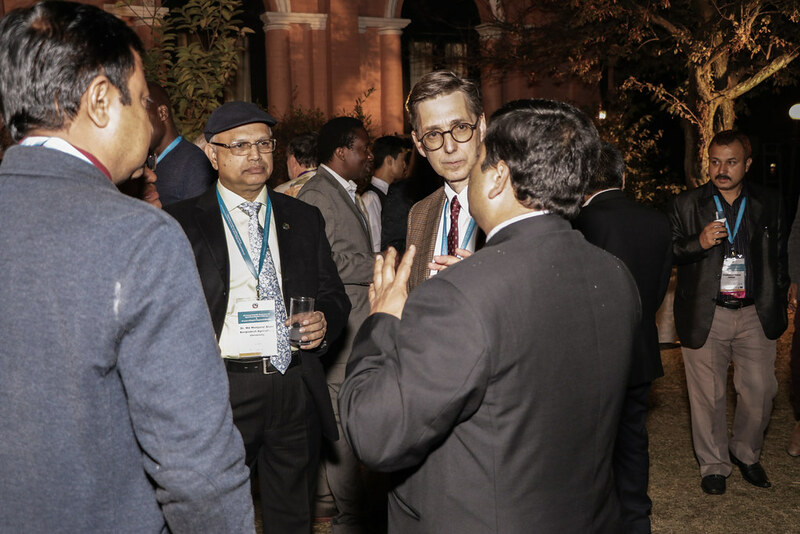 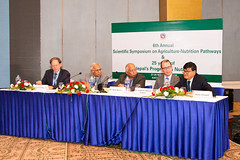 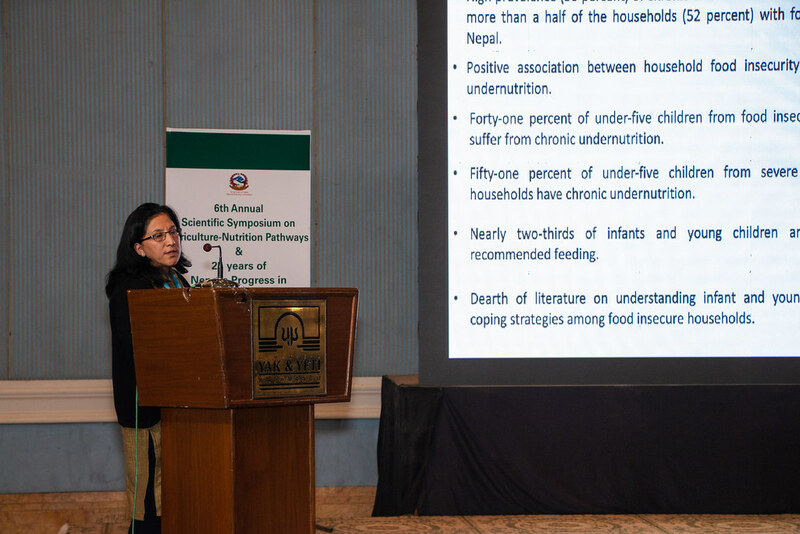 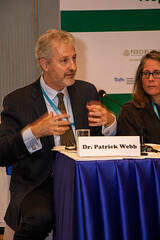 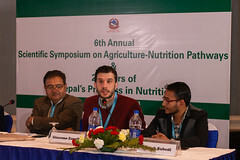 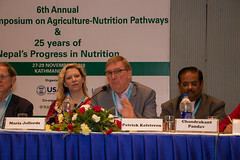 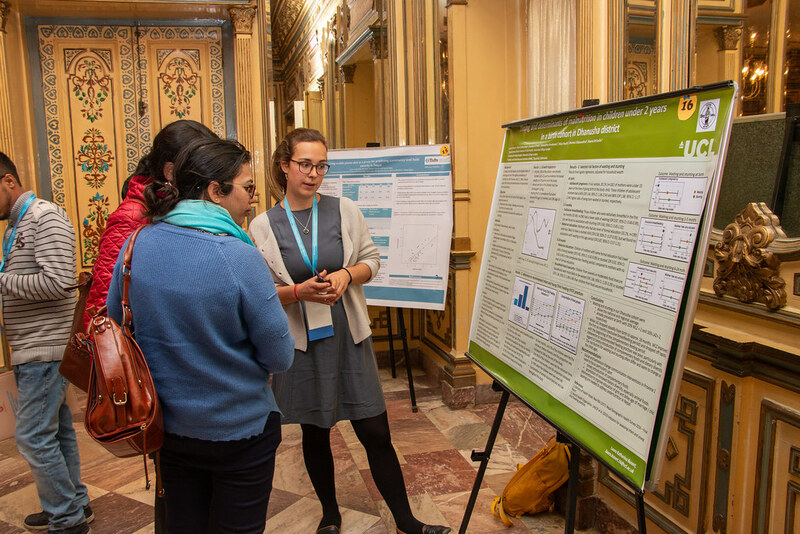 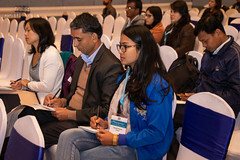 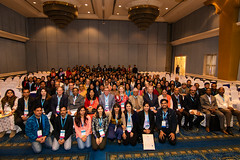 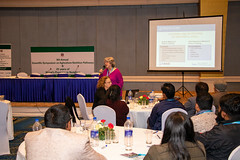 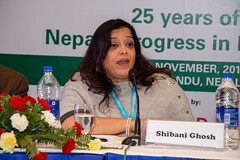 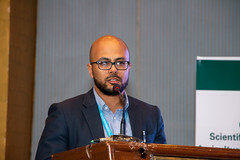 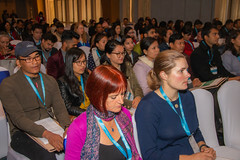 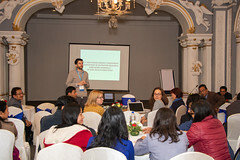 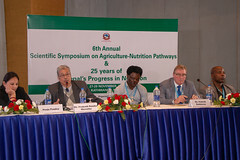 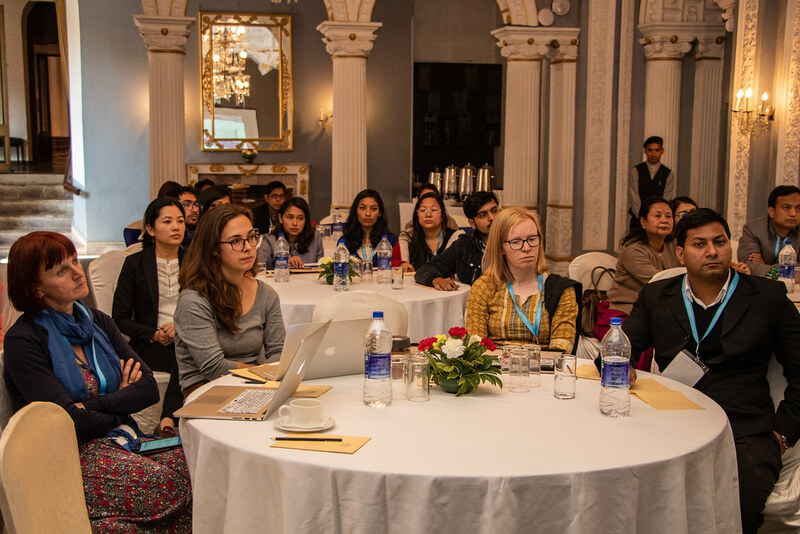 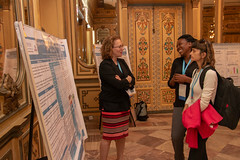 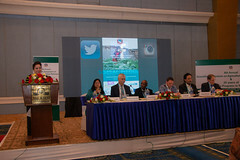 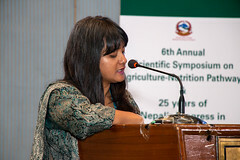 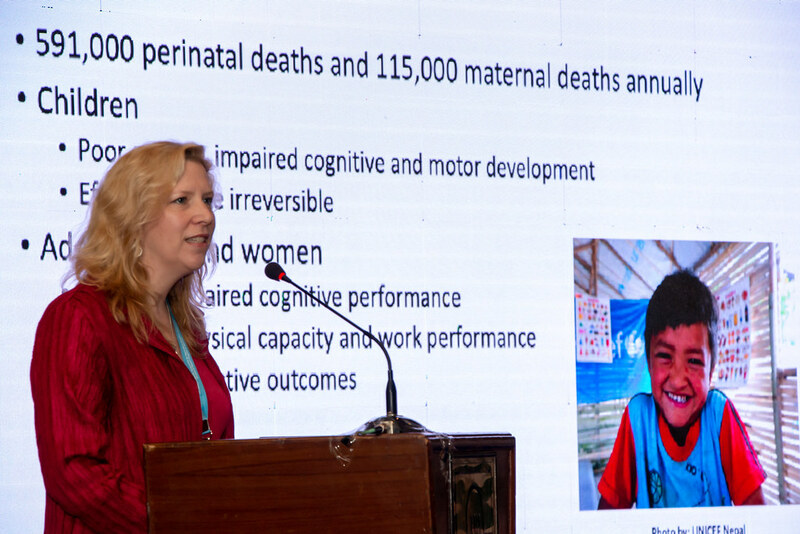 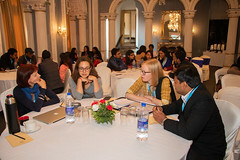 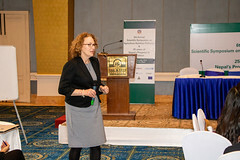 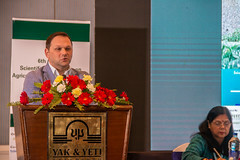 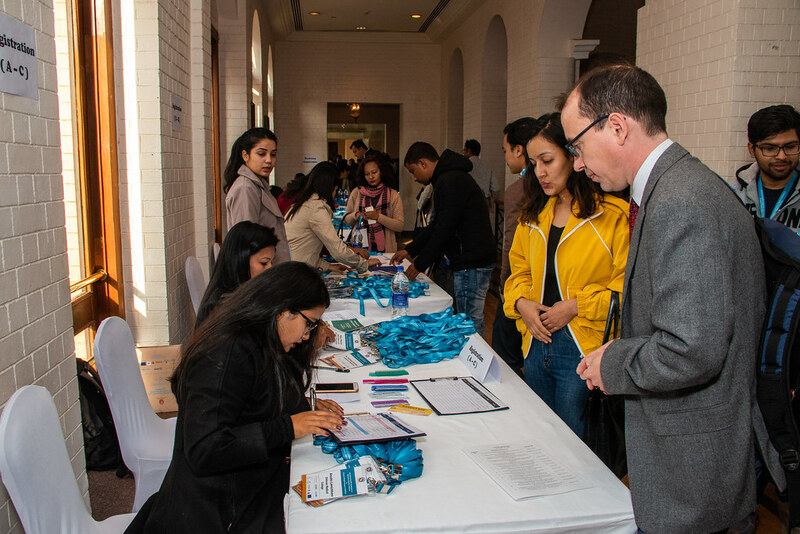 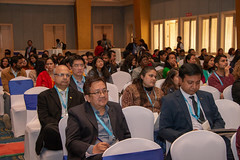 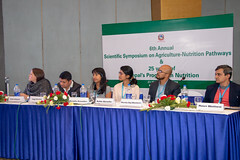 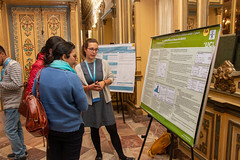 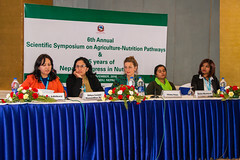 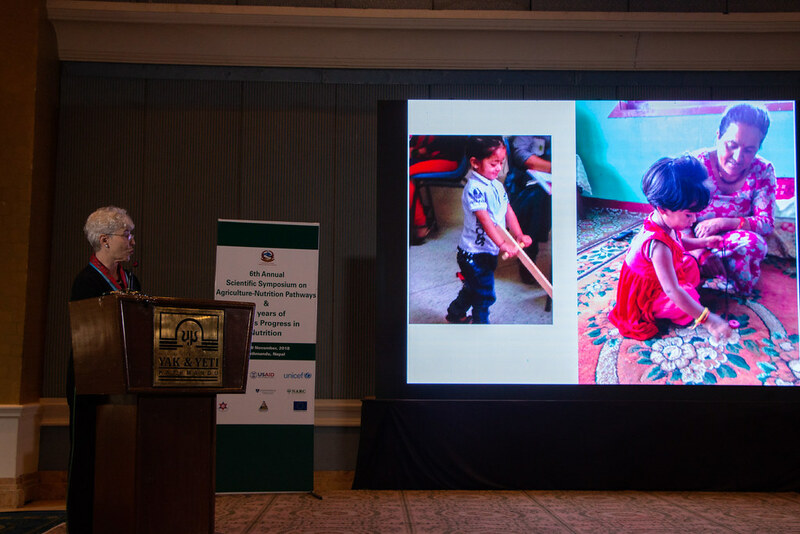 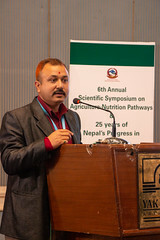 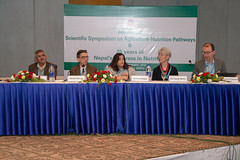 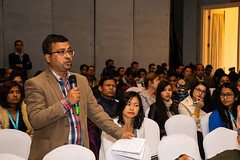 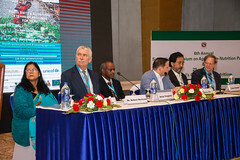 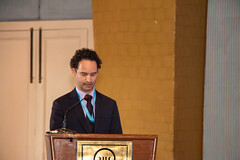 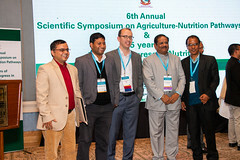 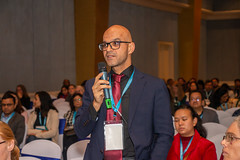 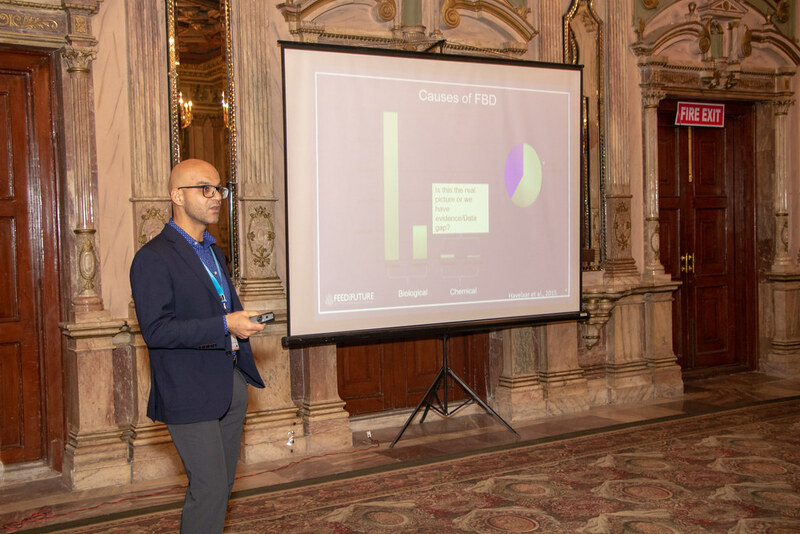 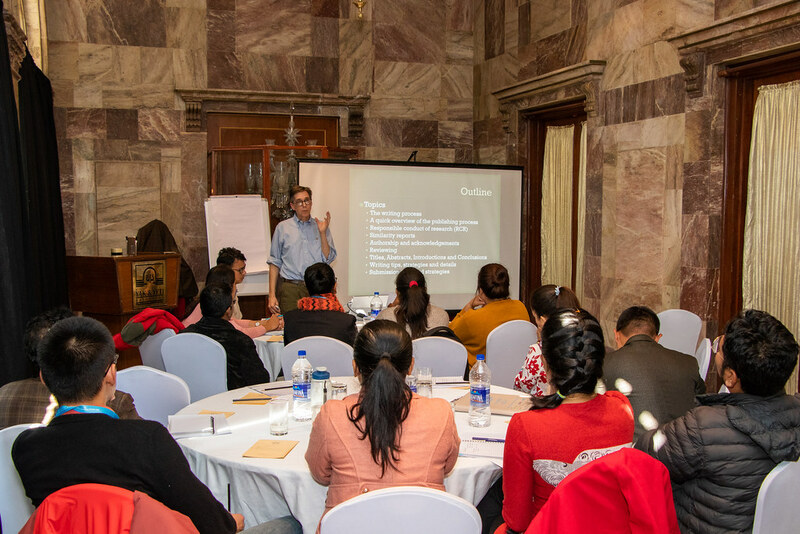 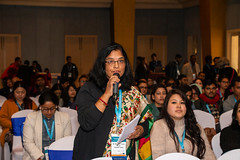 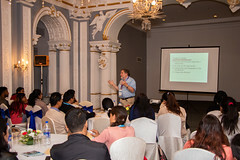 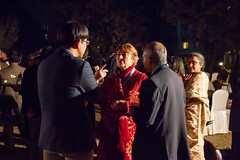 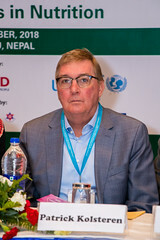 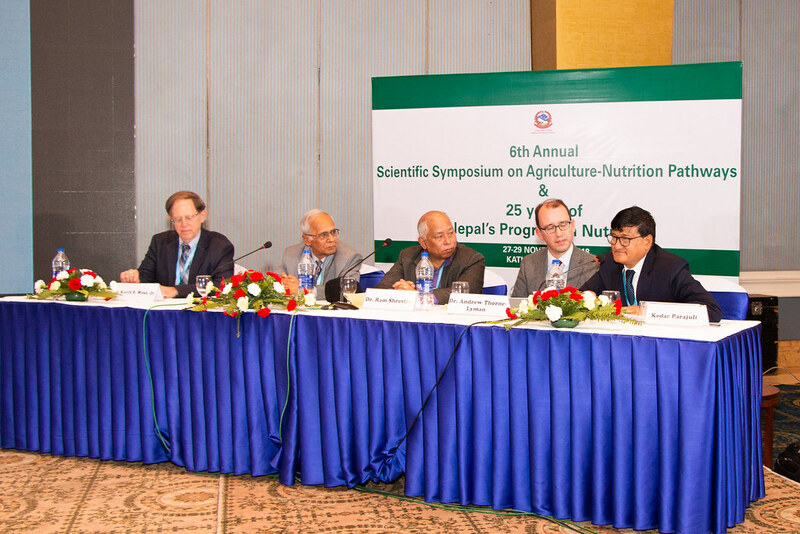 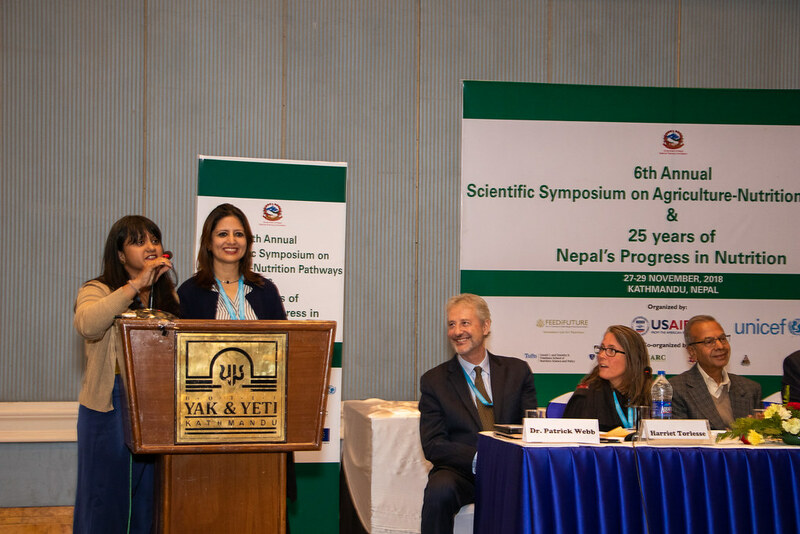 The event, funded by USAID and EU, was co-hosted by Johns Hopkins Bloomberg School of Public Health, Tufts Friedman School of Nutrition Science and Policy, UNICEF – Nepal, Government of Nepal, Tribhuvan University’s Institute of Medicine (IOM) Community Medicine & Public Health Department, Nepal Agricultural Research Council (NARC) and the Nepali Technical Assistance Group (NTAG). 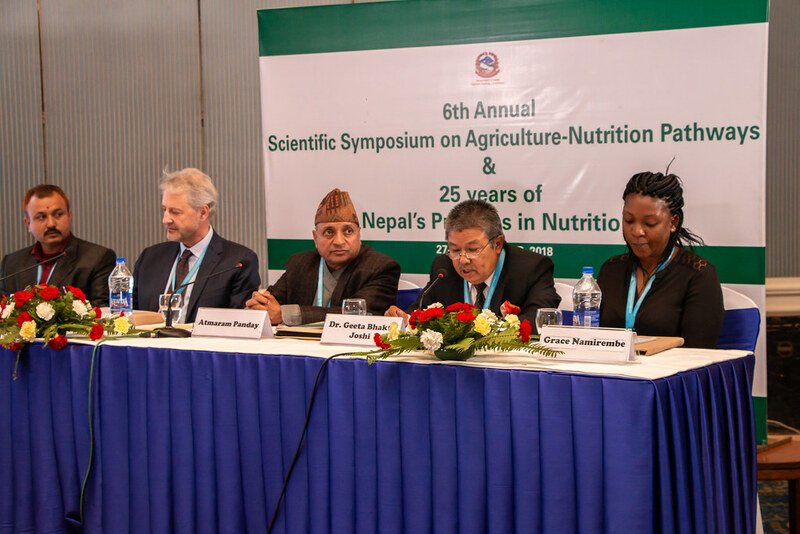 Opening Plenary Welcome Remarks Dr. Keith P. West, Jr.
Flickr photos from the 2018: 6th Annual Agriculture to Nutrition Scientific Symposium album.